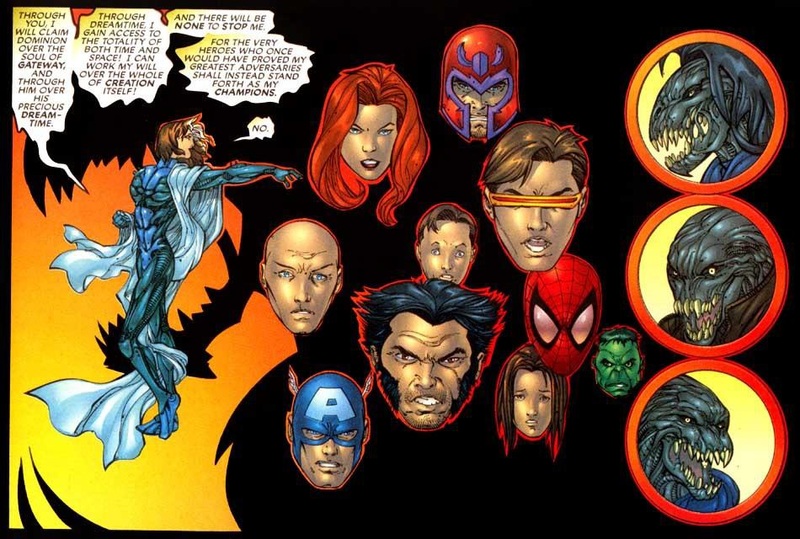 X-Treme X-Men | "How Would You Fix...?" 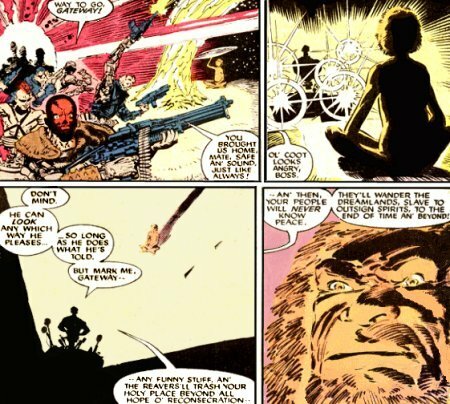 Before Chris Claremont was unceremoniously fired from the X-titles by Bob Harras, we never learnt the origins of the mutant aborigine Gateway or the details behind the “geas” binding him to the land surrounding the abandoned mining town that served as the Reavers’ outback headquarters. Gateway stares at Bonebreaker with barely hidden contempt. Reading the above quote, the “Holy Place” Bonebreaker mentions is obviously the land surrounding the outback town, where the spirits of Gateway’s ancestors reside. What’s further interesting about this quote is that the Dreamlands, the usual resting place for all ancestral spirit beings in Australian Aboriginal mythology, according to Bonebreaker are threatened by “outsign spirits”. So just what are these “outsign spirits” threatening the Dreamlands? 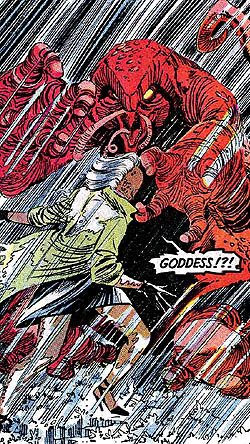 The next time Claremont refers to the Aboriginal Dreamtime, also known as Alchera, being under threat is when the Shadow King kidnaps Gateway in X-Treme X-Men Annual 2001 in an effort to access the totality of time-space and all of creation through it. 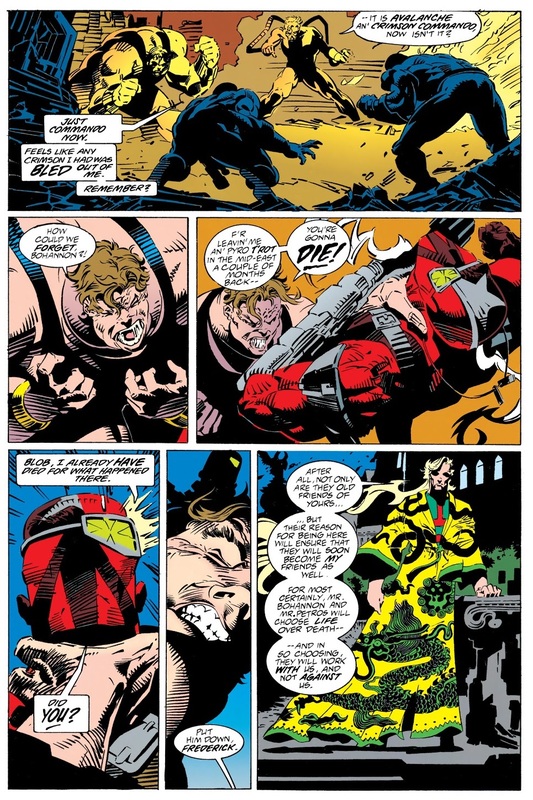 Interesting to note in this Annual is that Donald Pierce, leader of the Reavers, is revealed to have been among the Shadow King’s many hosts. 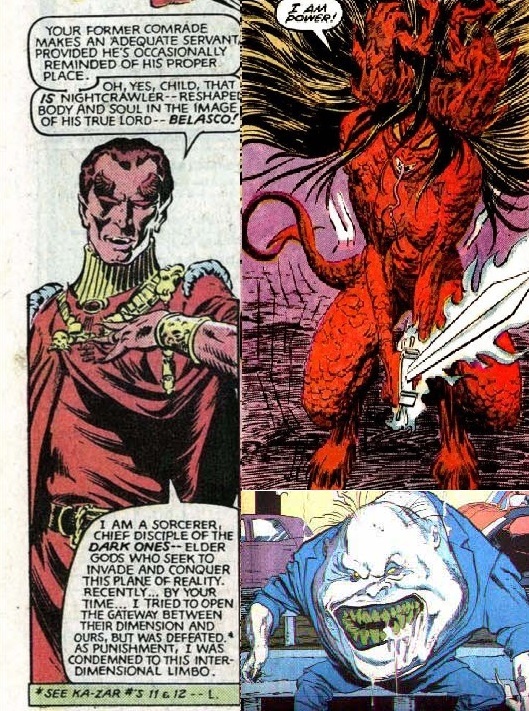 So was the Shadow King one of the “outsign spirits” Bonebreaker refers to, and the Reaver’s threat to Gateway concerns the Shadow King enslaving his ancestors if he didn’t serve their villainous needs? Other mysteries surrounding this whole Claremont plot include the origins of the Australian Outback town itself and the land surrounding it. So what were the origins of the town, and for that matter the Reavers’ base? …a period when there had been regular massacres of Aboriginal people by white settlers in Australia. This initially made me consider the significance of the town to be that white settlers had massacred Gateway’s people and had further desecrated the land by building their town over it. 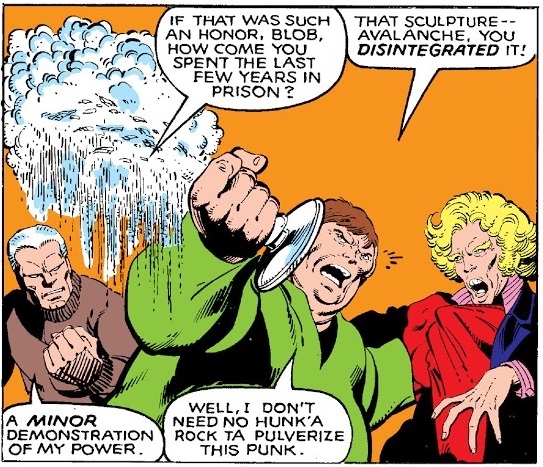 However, if we go back to Bonebreaker’s quote in Uncanny X-Men #229, he threatens to desecrate their Holy Place (FUTURE TENSE), not that it has already been desecrated (PAST or PRESENT TENSE)! 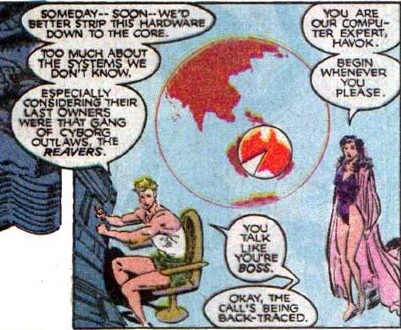 so advanced in fact that it teaches Madelyne how to operate it – something she found eerily convenient. 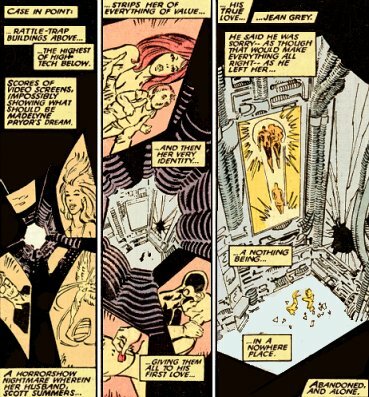 Among its many other advanced features it once tapped into Madelyne’s dreams and displayed them on its monitors, suggesting it had the ability to psionically scan minds and translate this into visual images. 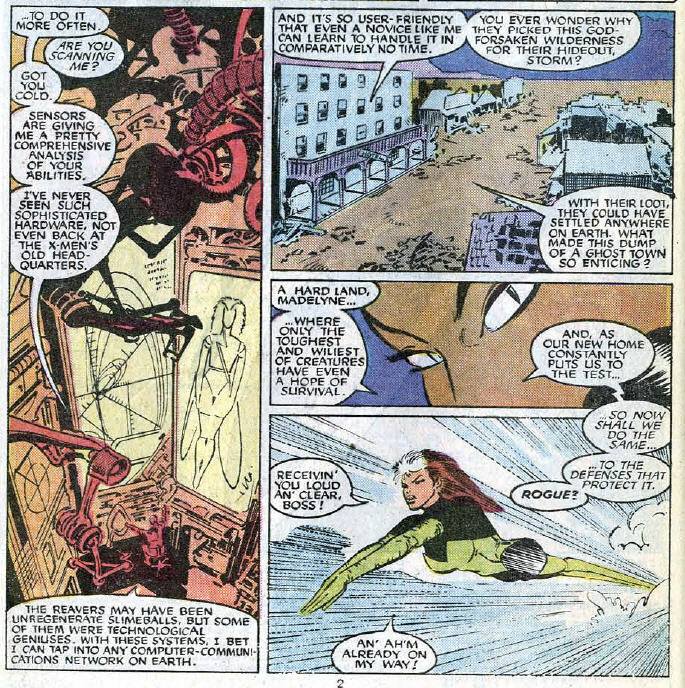 …N’astirh contacted her over a computer monitor on the island of Genosha in Uncanny X-Men #236. 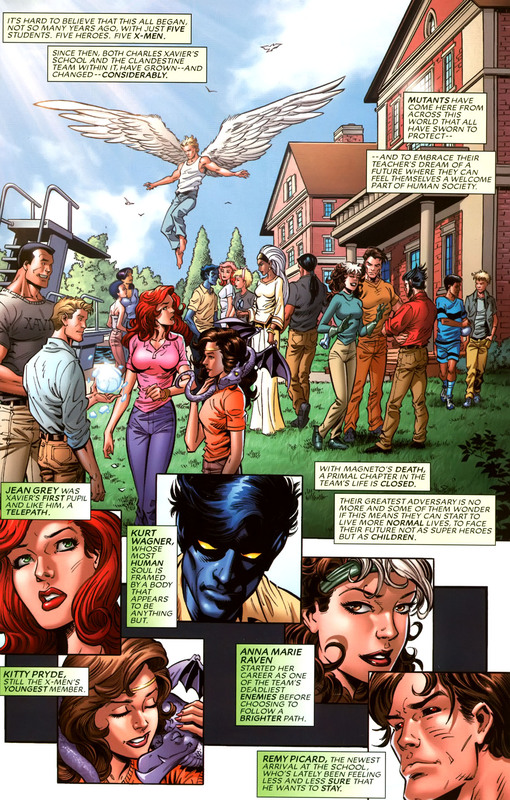 ..and once by Havok in Uncanny X-Men #249. Then after the Reavers retook the town, they observed that the computer system seemed to be growing on its own. 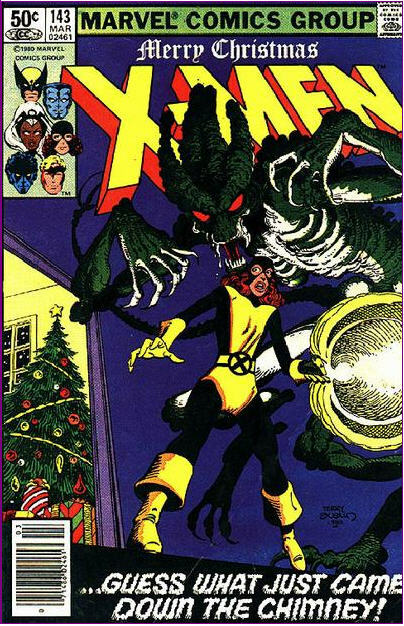 …this could suggest his seduction of Madelyne through its systems spread the virus enough that the system’s former operator, Bonebreaker, would understandably show surprise at its new programming language and note its growth being comparable to that of a living organism (see above). But what of the computer’s advanced technology shown prior to its potential infection by the Transmode Virus, and that beyond Bonebreakers’ modifications? 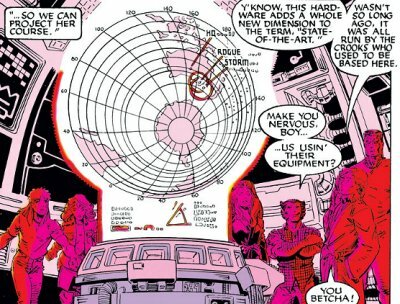 Does a clue lie in Uncanny X-Men #253? 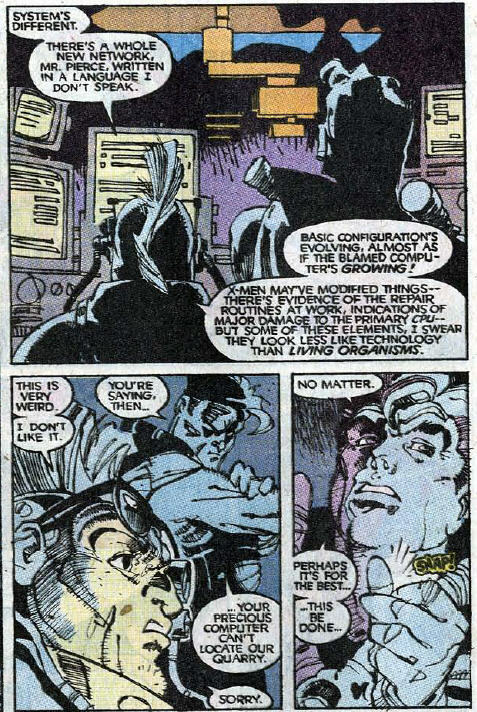 The other Reaver besides Bonebreaker that demonstrates knowledge operating the computer’s systems in this issue is Lady Deathstrike, particularly its comprehensive surveillance system, which she refers to as “Spyeye”. Now where have we heard that before? 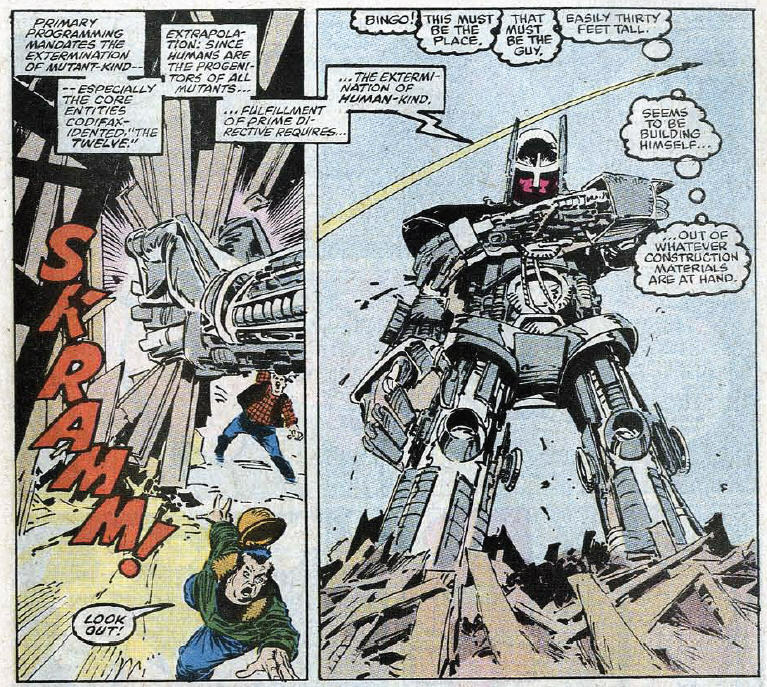 This is the term by which Psylocke’s prosthetic set of cybernetic eyeballs Spiral implanted to replace those blinded by Slaymaster – which also functioned as cameras allowing Mojo to spy on the X-Men – were referred by Mojo and Spiral. …I’d posit the technology behind their base’s computer system, with its advanced cameras, etc., could be from Mojoworld and have been purchased from Spiral by Donald Pierce. 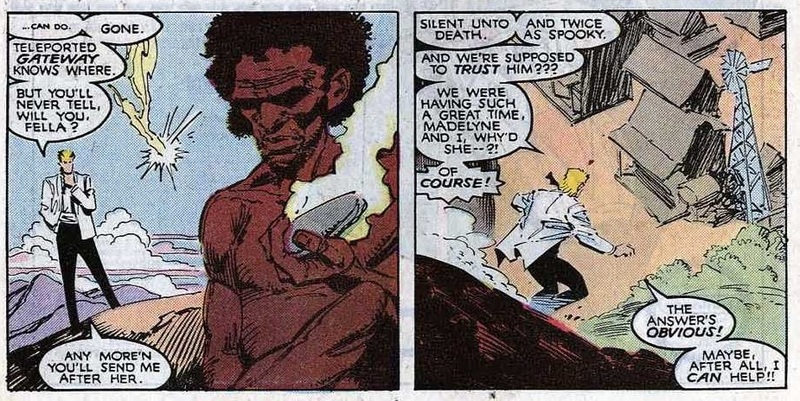 But back to the “outsign spirits” Bonebreaker refers to, which, sadly, the explanation for has been RIGHT THERE in another tale from Marvel’s history. …it emitted radiation causing mutations in small portions of the population, turning them into “demon spirits” who attacked their fellow tribe members. 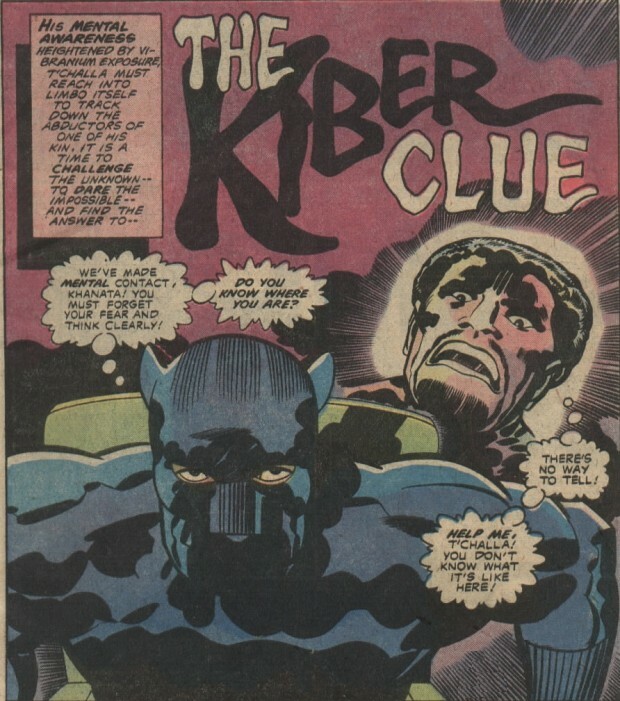 T’Challa’s ancestor, Bashenga, declared the vibranium mound too dangerous closing it to outsiders, and formed the Panther Cult to guard over it thus preventing others from being transformed by it into “demon spirits” and spreading across the kingdom. I would therefore suggest that the “outsign spirits” to whom Bonebreaker refers were Aborigines similarly transformed by a vibranium meteor that fell in the Australian Outback. This raises another question, that being where is the vibranium meteor now? In order to answer this, I must continue to try explaining the mystery behind the Australian Outback town. It is worth noting that a vast, sprawling complex lies hidden beneath the town where the Reavers established their base; the buildings connected to each other by a series of underground tunnels and a sewer system, in addition to massive vaults. These catacombs – obviously predating the Reavers’ arrival – are indicative of abandoned mining corridors. Does this therefore suggest that white settlers had discovered small vibranium deposits and so decided to establish a mining town on the site (that was the land of Gateway’s ancestors)? I’ll get to this mystery soon but will first try to answer where the vibranium meteor had fallen in the Australian Outback. 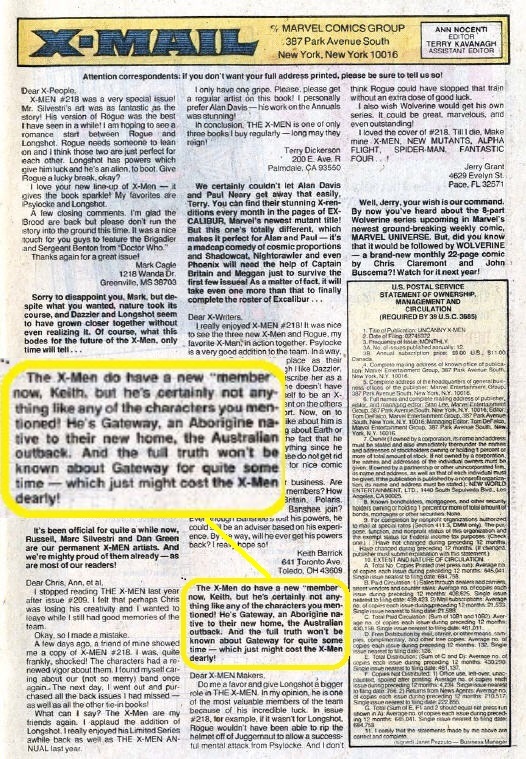 When it comes to Gateway, he spends virtually every moment we saw him – during Claremont’s Uncanny X-Men run – sitting atop a rock not unlike Uluru. …used to be believed by people to be a meteorite. So was Claremont aware of this theory and decided to reveal the similar monolith overlooking the town as a vibranium mound? Might this further suggest Claremont intended to reveal Gateway’s power as a product of the mutagenic properties of a vibranium mound? 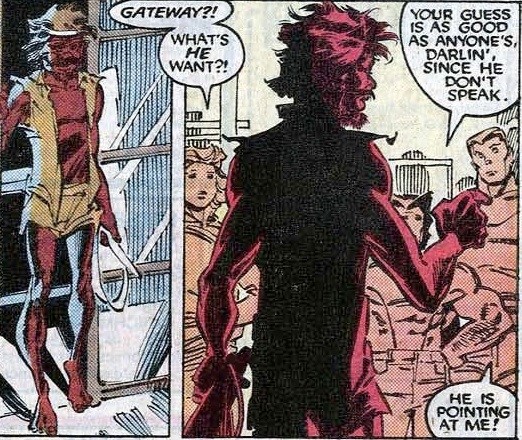 In addition to Gateway being somehow indebted to the Reavers, Uncanny X-Men #269 revealed that a “geas” bound him to the place to perform some task. …and secondly regularly use a bull-roarer, a sacred object known for its ability in Australian Aboriginal culture to ward off evil spirits. While writers since Claremont have attempted to place the location of the town and its surrounding land in Western Australia, the town’s high-tech computer systems were to me a more reliable source of information, and they place the town somewhere in North Central Australia. Readers can, I suppose, be forgiven for buying bulldust written by later writers given their lack of familiarity with Australian geography (though for goodness sake if the giant rock Gateway sat atop wasn’t a clue), but a little research about Australian indigenous religion would reveal Gateway’s use of the bull-roarer also held the answer to the location of the town in addition to the identity of his people’s tribal group. You see, the bull-roarer, also known as a Churinga, is an object of religious significance used only by North Central Australian indigenous people of the Arrernte groups, who are the traditional custodians of the Arrernte lands which lies roughly between Alice Springs and Uluru. Now back to the mining town, the explanation for who mined the vibranium mound has been RIGHT THERE… and perhaps answers the real reason why Donald Pierce had established the Reavers’ base in this particular Australian Outback town. 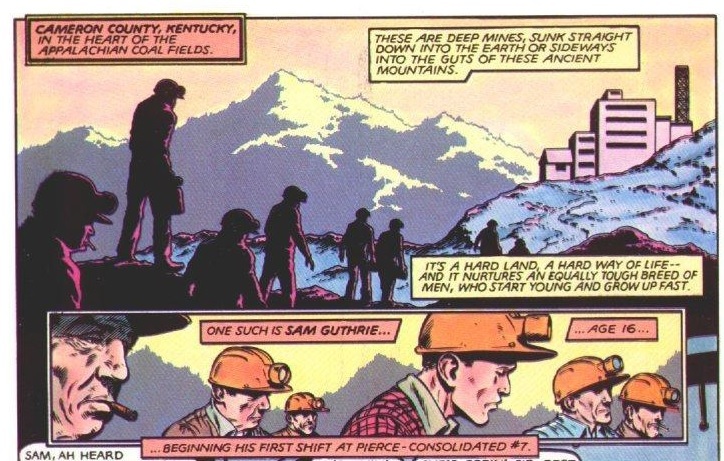 Recall that in Marvel Graphic Novel #4, introducing the New Mutants, the mine young Samuel Guthrie gained employment at after the death of his father in Cameron, Kentucky was owned by Pierce-Consolidated Mining, the company responsible for providing Donald with his vast financial resources which made him eligible for membership in the Hellfire Club. …I would posit he had been manipulated to establish the underground complex in the town for purpose of mining the vibranium there; and Pierce had encouraged his original Reavers using it as their base of operations for their international heists to conceal its true function. But what did the Shadow King want with Vibranium? 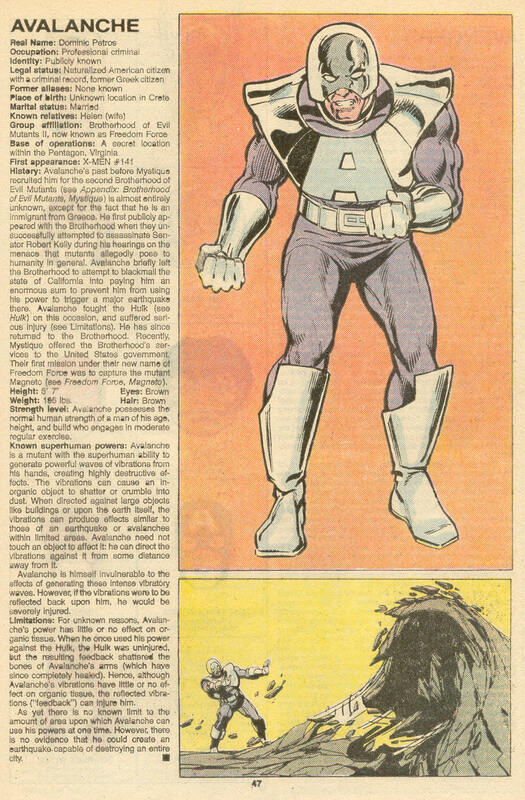 Well recall throughout most of his appearances during Claremont’s run how the Shadow King had been pursuing Storm for many years? 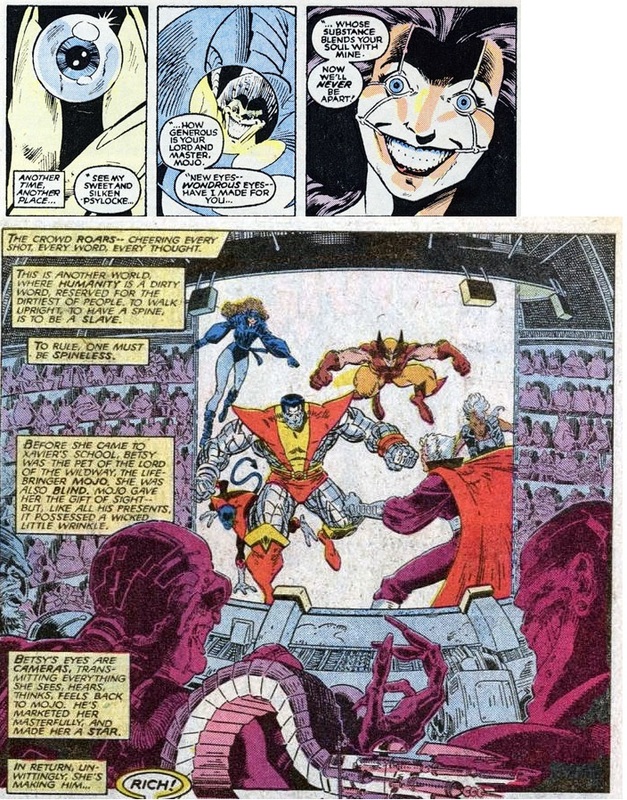 Toward the end of his run, in Uncanny X-Men #265, further hints were dropped as to what was behind this bizarre obsession when the Shadow King claimed she had been promised to him long ago. 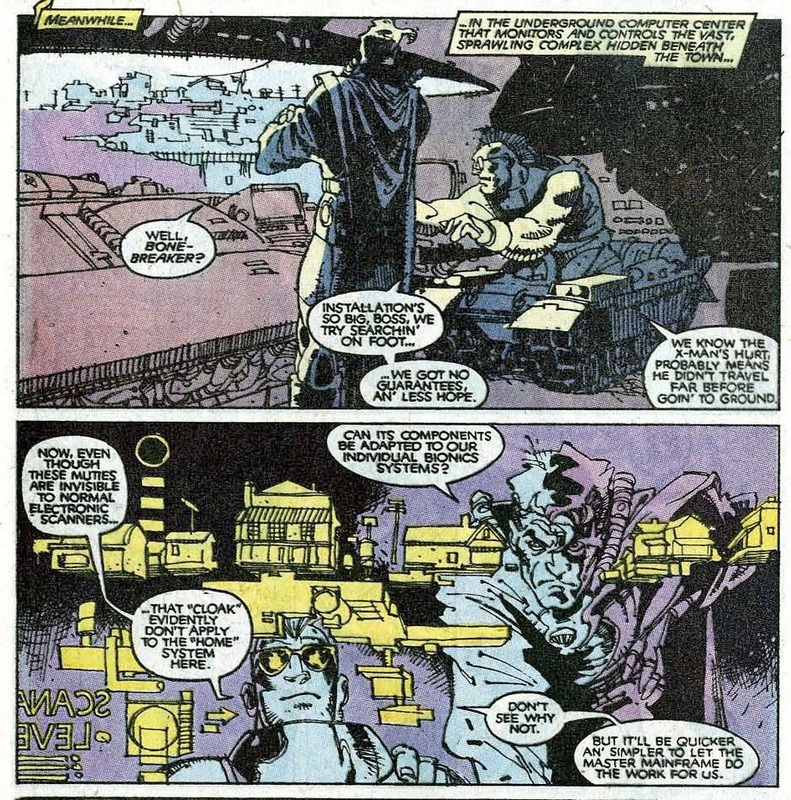 With it then being shown in Uncanny X-Men #253 that the Shadow King had Gateway bound for some time, could this finally explain what he was attempting all along? Now recall that both Ororo’s mother N’Dare’s tribe was in Kenya and Wakanda is likewise obviously meant to be in Kenya – what with its name being evocative of the Wakamba tribe of Kenya. However, Wakanda is a patriarchy, the title of Black Panther prior to T’Challa always having gone to the nation’s king, whereas N’Dare was a princess in a matriarchal tribe. This raises the question of how N’Dare’s tribe became a matriarchy. Might it stem back to the incident in Wakanda? That is, was N’Dare’s tribe originally a clan of the territory that was cut off when Bashenga founded the nation of Wakanda around the area of the vibranium mound to prevent the spread of “demon spirits” across the kingdom? 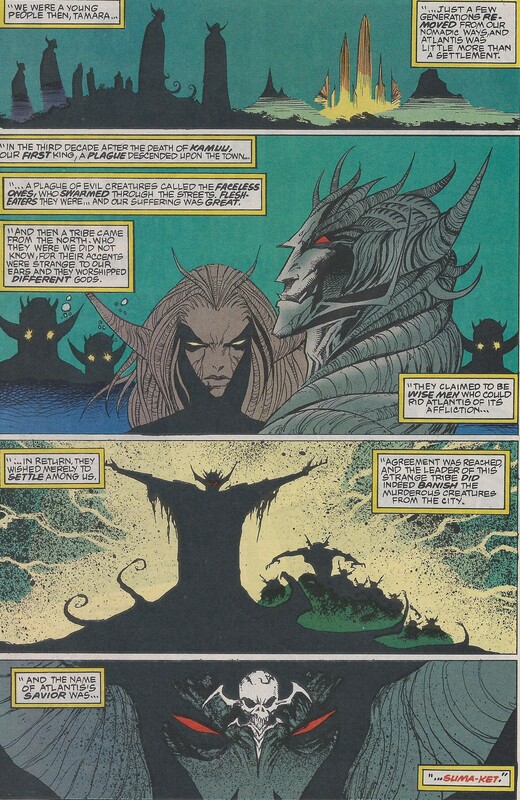 And was the Shadow King leader of a clan who was mutated into a “demon spirit” by radiation from the mound? Were the males of this clan perhaps more susceptible to being transformed into “demon spirits” and did the surviving clan go on to became a matriarchy after this incident? And is this why the Shadow King was so intent on gaining possession of Ororo, so he could unseat the ancient line of sorceresses and reinstate himself as rightful heir to the tribe’s mystical power, after which he intends to return to Wakanda to release his demon brethren? 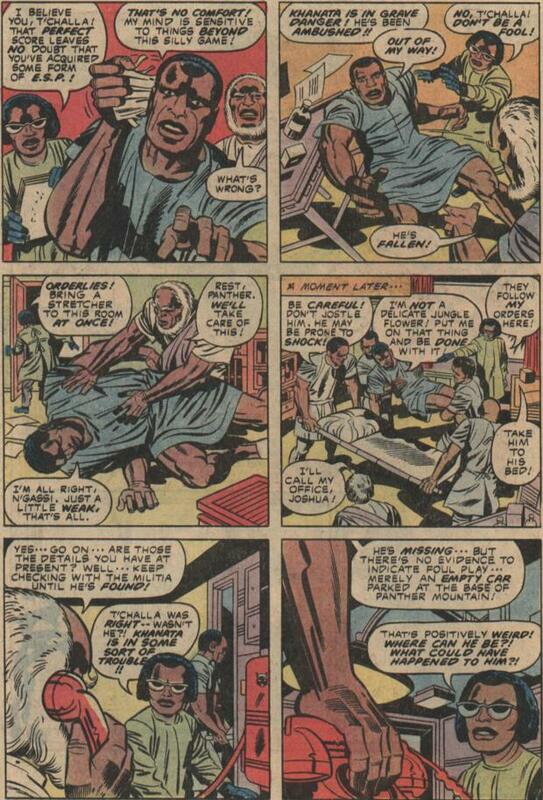 A closely guarded secret of the royal family of Wakanda is that pure vibranium can amplify magical abilities exponentially, so had whom Farouk had been back then discovered this and made his way to the mound to increase the power of some spell, which led to his becoming a being of pure psionic energy, further prompting Bashenga’s formation of the Black Panther Cult to guard the sacred mound containing it? If this was the case why did he then need to manipulate Donald Pierce and force Gateway into his servitude? Well recall he had been defeated at every turn in his efforts to possess Storm, so had he turned his attentions to the Sacred Mound in Australia as a backup? 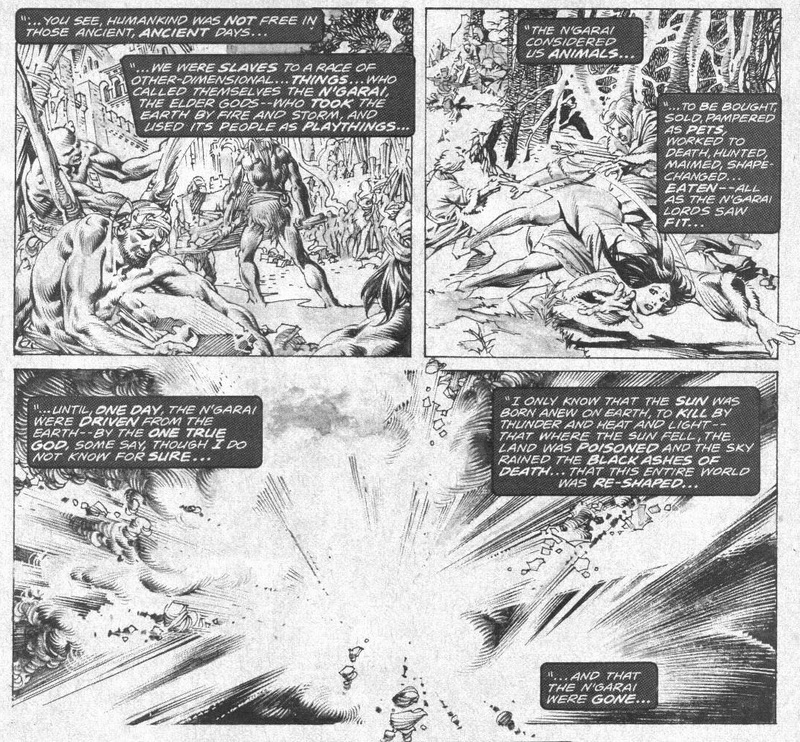 That is, by firstly employing Pierce to mine the site the mound would be uncovered and the “outsign spirits” equivalent to his demon brethren would be released and enslave Gateway’s spirit ancestors, thereby shifting them off the board so he could go on to conquer the Dreamtime, perhaps providing him with a back door to Wakanda. Whatever the case may be, the remaining question in this overall plot requiring an intellectually-satisfying answer is where did the vibranium meteor originate from? 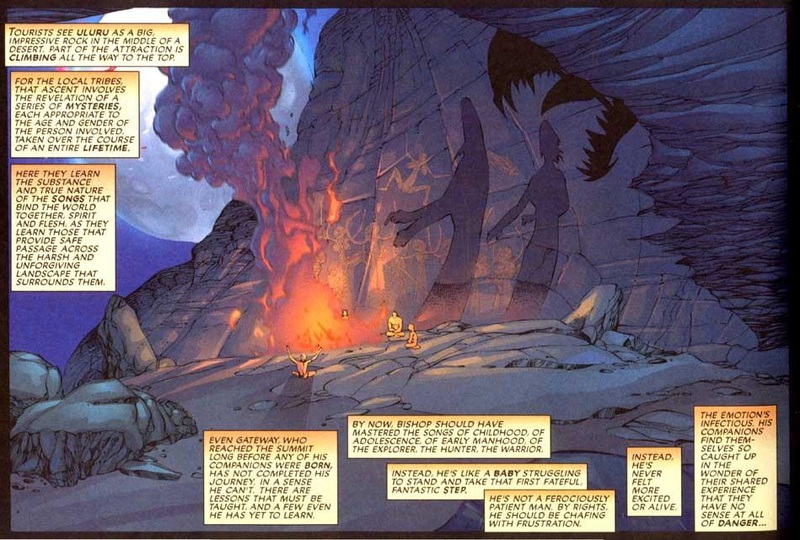 With my fix suggesting Storm’s ancestry as Faltine, I began entertaining the idea that Vibranium had come to reside on Earth as a result of an ancient Wakandan cult summoning it from some Dark Dimension by performing some dark ritual; and that the leader of this ancient cult was a member of Bashenga’s tribe who would go on to become the Shadow King as a result of the meteor’s radiation. 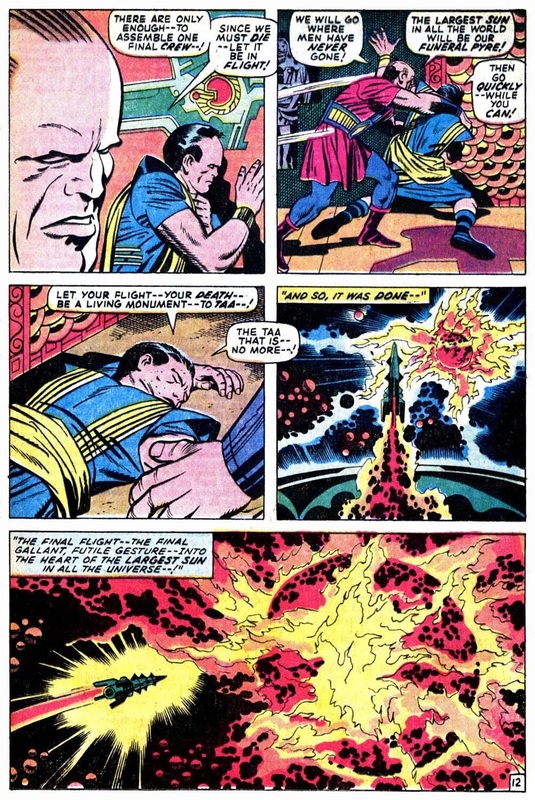 …leading me to think of Kierrok, and whether the vibranium meteor had been summoned by the ancient Wakandan cult from the N’Garai dimension? 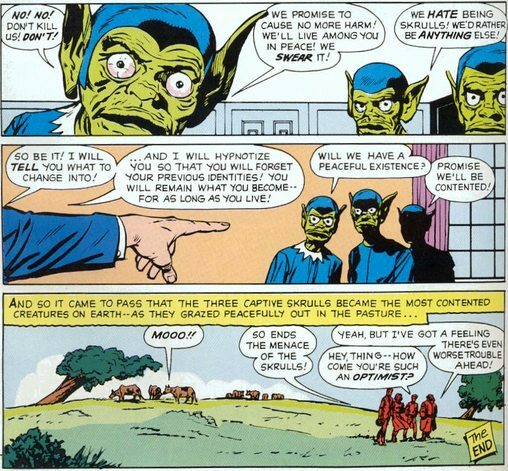 And were those of Bashenga’s tribe who were transformed into “demon spirits” members of this mystical cult and their leader mutated into a demon of pure psionic energy? 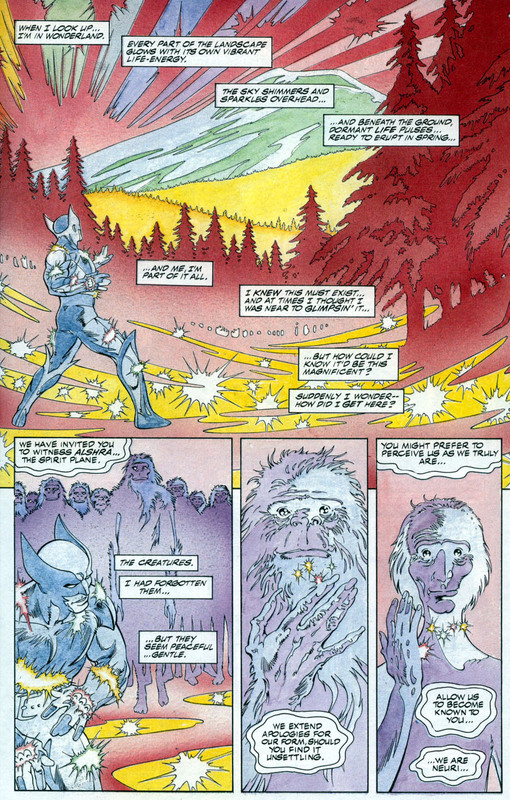 …introduced by Claremont’s partner in Arthurian crime, Alan Davis, in the Wolverine 1990 annual, Bloodlust. 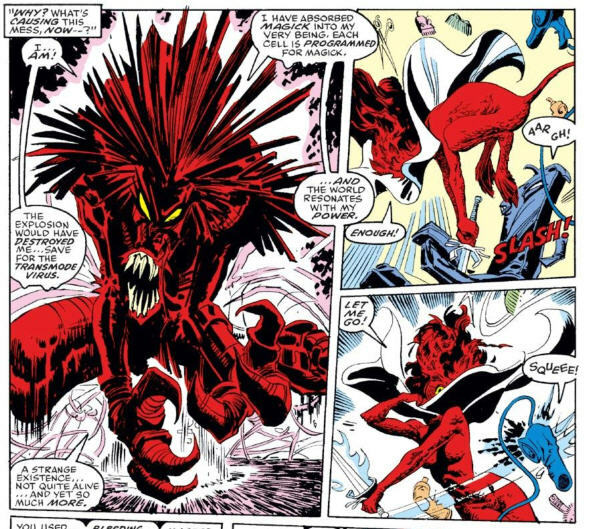 …a concept identical to that more famous Marvel spirit demon, Wendigo. 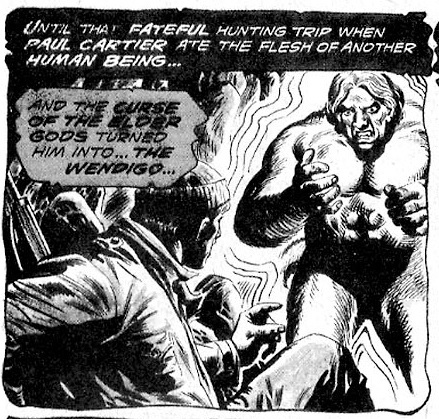 It is worth noting that the curse of the Wendigo is referred to as a “curse of the Elder Gods” in Monsters Unleashed #9. 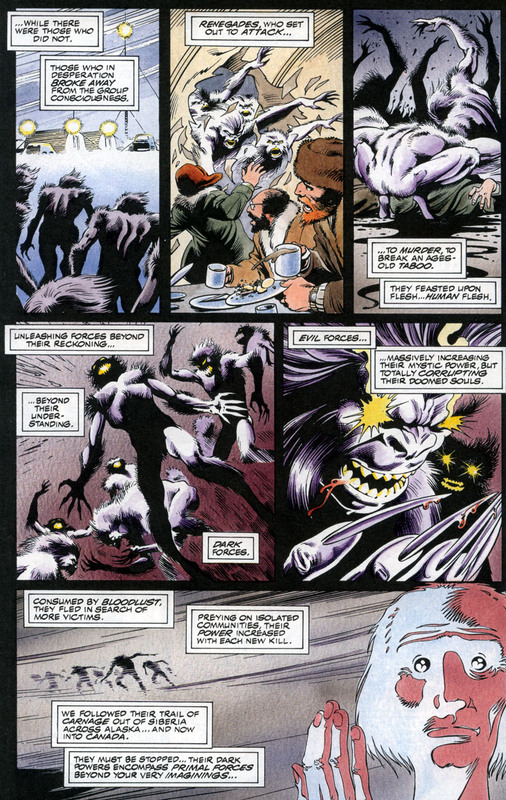 As it’s written by Claremont, that would seem to tie the Wendigo to the N’Garai. 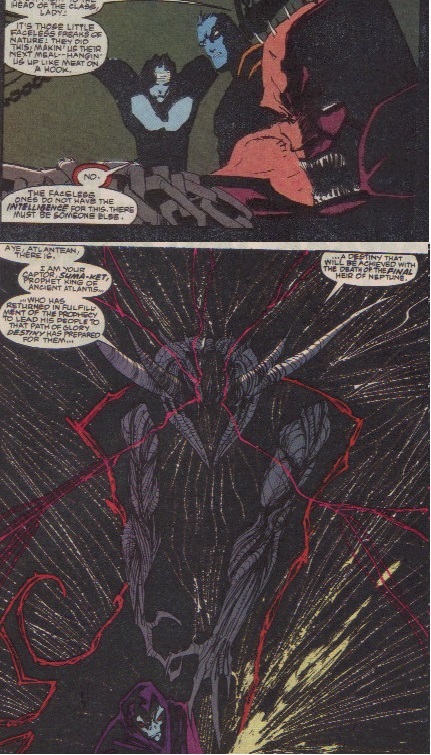 So if the N’Garai are responsible for this “demon spirit” does this suggest they are responsible for all “demon spirits” in the Marvel Universe and are exposing those they corrupt into demons with raw vibranium? Deadly Hands of Kung-Fu #22, also written by Claremont, reveals that many millennia ago, long before the Great Cataclysm which sank Atlantis, humanity was enslaved by the N’Garai, serving as their workers. 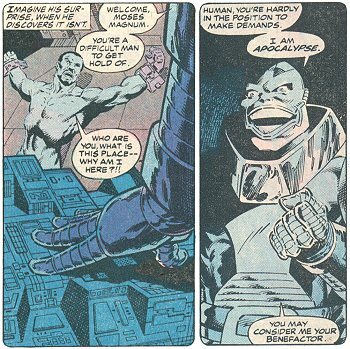 It has never been revealed what work it was that humans were forced to perform for the N’Garai, but I’d posit based on the above that it was mining vibranium for them. This would seem to suggest that the N’Garai had conquered Earth for the purpose of mining its vibranium deposits, which would mean the vibranium meteor had obviously not come from their dimension. That is, unless the N’Garai were not otherdimensional demons at all but rather our ancient ancestors, and like later “demon spirits” were similarly transformed by the vibranium deposits! But if the N’Garai were birthed on Earth, this still leaves unresolved the question of where the vibranium meteor originates from. While vibranium does not obviously originate from the dimension the N’Garai were banished to (by Satana’s father according to Marvel Preview #7), was there more to their interest in Limbo than just using it as a “stepping stone” back to Earth? Now recall that Limbo was a place with an ecology composed primarily of demons, and outsiders who come to be lost/ trapped there similarly develop a demonic appearance. So might this finally explain not only the mystery of the source of the massive meteor made up of the sound-absorbing mineral vibranium that crashed on Earth, but what was responsible for transforming travellers becoming trapped in Limbo? To those who made it this far you’ve been wondering “He completely overlooked the Savage Land variant (aka. Anti-Metal)”! To which I answer “Oh ye of little faith” and posit that Antarctica vibranium, while appearing different due to it destroying other metals by its presence as opposed to the Wakandan version which absorbs energy/ vibrations, has much more in common with it than previously believed. 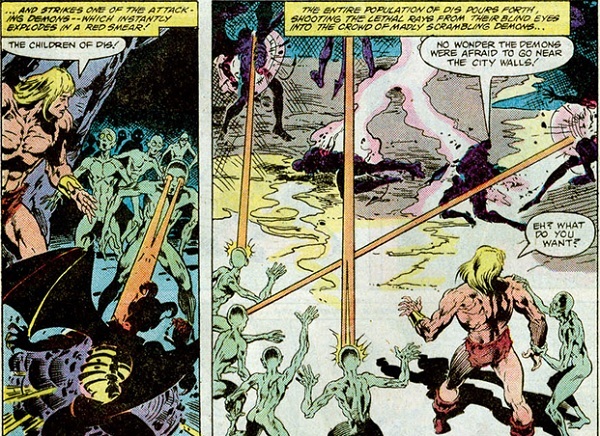 In promoting this theory I’d draw your attention to Ka-Zar the Savage #11, which is set in Pangaea, the semi-tropical paradise hidden in the icy reaches of Antarctica built as an amusement park by the ancient Atlanteans before Atlantis fell, its virtually indestructible machinery keeping the cold at bay. In this tale we learn this to be the place the N’Garai directed Belasco to for performing a ritual to summon them to Earth. In his supposed efforts, Belasco formed vast tunnels deep into the caverns of the valley, but I’d alternatively posit he did this with the intention of mining the Anti-Metal for his N’Garai Masters who had previously enslaved humanity to mine it for them before the Great Cataclysm. Then as is the pattern, upon exposure to pure deposits of the element, he begins developing a demonic appearance. …save for the power to emit bursts of energy through their eyes, are said to be descendants of Dante’s crew mutated by Belasco. But what if he instead had enslaved them to work in the mines and their mutation was from exposure to the Antartic vibranium? 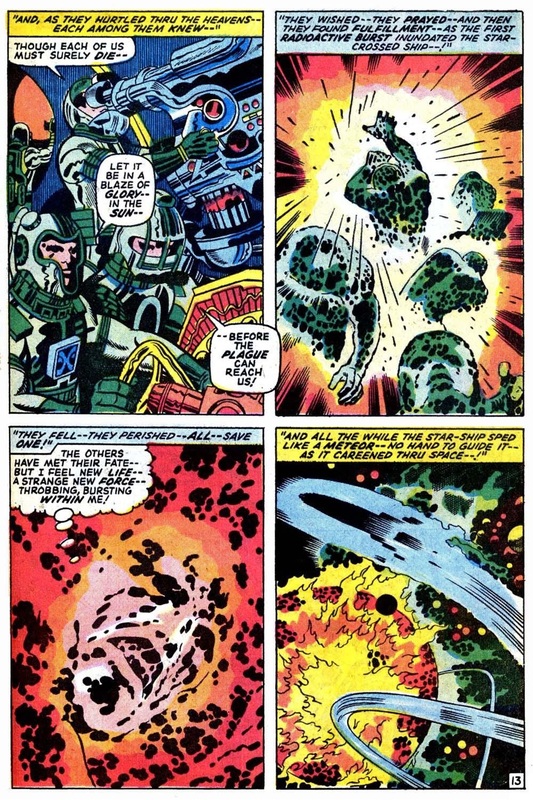 Given their appearance this could further overturn the shoe-horned origin for the Moloids and Tyrannoids – that they were created through Celestial science by the Deviants – and alternatively align it more to their creator, Jack Kirby’s plot of Vibranium as a major source of mutation in the Marvel Universe (still retaining the Deviants but not as creations of the Celestials but rather vibranium mutates who formed their own race). 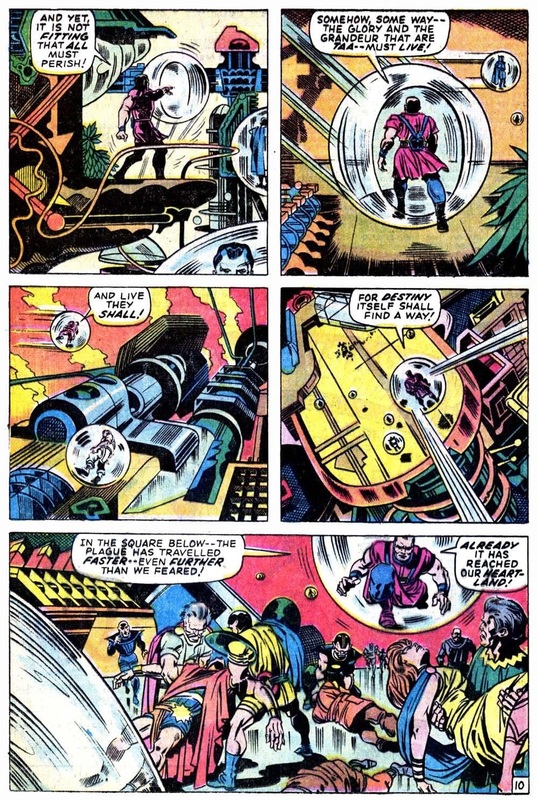 And here Kirby spells it out in black & pink, Vibranium abilities drawing on energy from Limbo! The Children of Dis (hereafter Disoids;) emitting bursts of energy through their eyes further brings to mind those denizens of the Dark Dimension, the Mindless Ones. …which is how it ended up in Wakanda, Antarctica, the heart of Australia and various other locations. 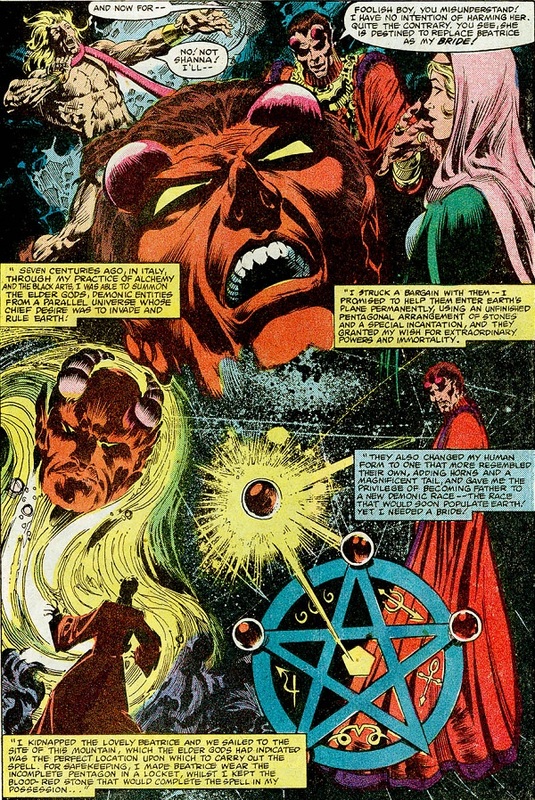 It’s interesting to note in Marvel Preview #7 the N’Garai were revealed as being defeated and driven from the Earth by the forces of Heaven, led by the angel Lucifer (Satana’s father), prior to his fall. Humanity subsequently gained its freedom. 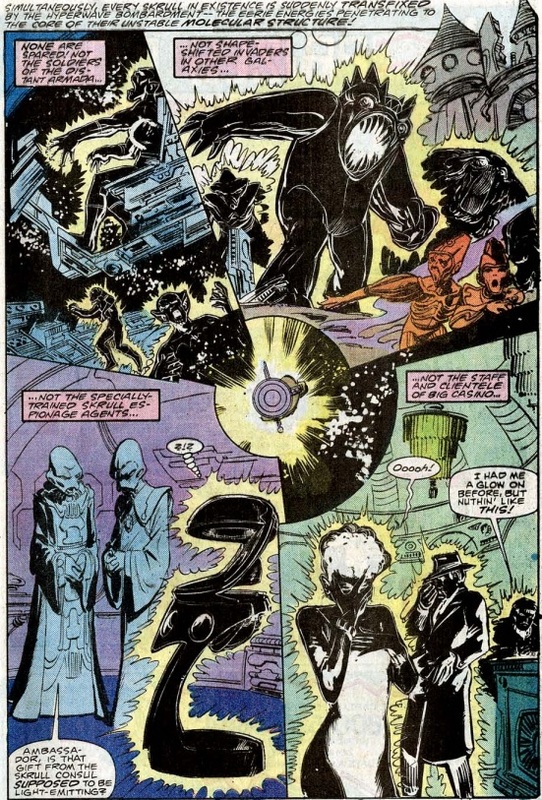 Given we are now to a point that Vibranium originated from the realm that became the Dark Dimension, and the Faltine conquer this dimension in an effort to keep the Mindless Ones from setting off further cataclysms in pocket universes in their pursuit of vibranium, might Lucifer and his host have known to drive the N’Garai from Earth because they were likewise aware of how the Dark Dimension came to be? 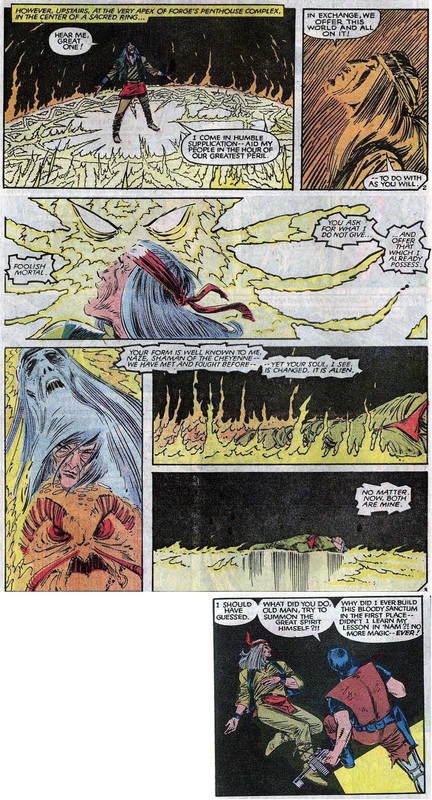 As to how, recall in Ghost Rider, and then Son of Satan, he had very similar facial features to Dormammu, including the flaming head. I’d therefore posit that these flames were the flames of regency and Lucifer was the first Regent of the Dark Dimension! 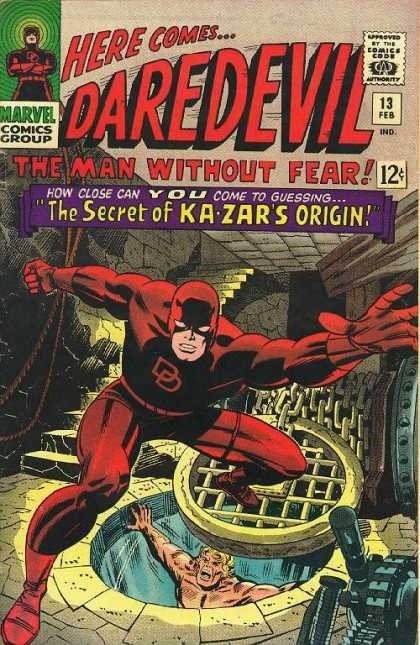 Now back to Ka-Zar the Savage #11 where I’d like to point out that the story in this issue, which is the foundation from which Claremont builds his “Return of the Elder Gods” subplot on (i.e. 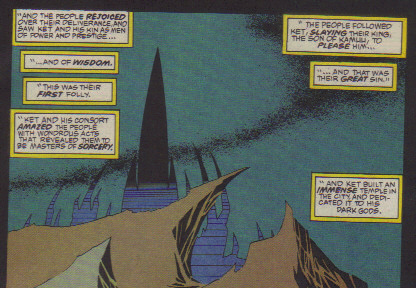 Belasco’s efforts to free the N’Garai from their dimensional imprisonment), is titled “Children of the Damned”. This is of particular note when you recall his regular use of the term “Damned” when referring to these demons, e.g. 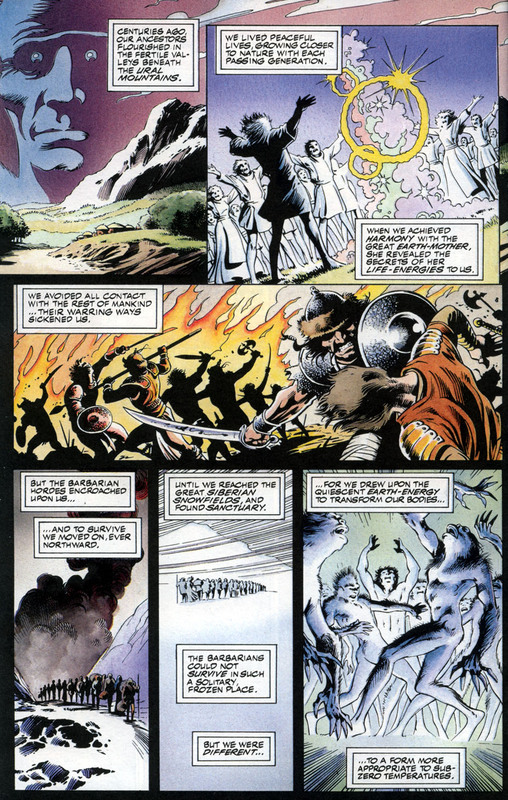 Kierrok THE DAMNED, the Shiatra Book of THE DAMNED and don’t get me started on Prince Gaynor the Damned (from the Conan the Barbarian story introducing Kulan Gath, another sorcerer Claremont would go on to use and reveal as a High Priest of the N’Garai). 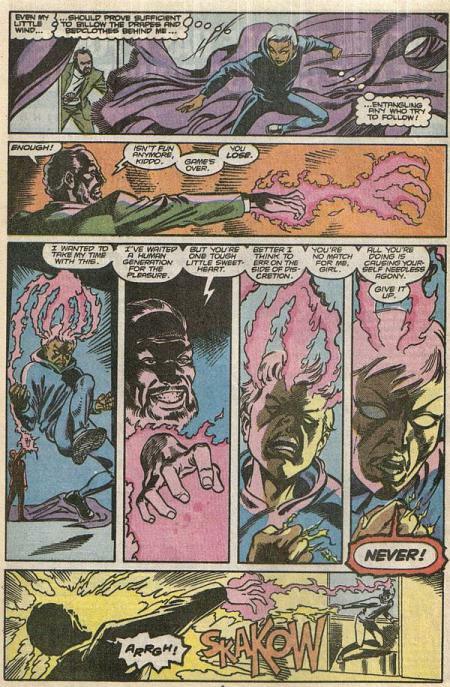 By using this term it would appear he is suggesting this whole connection between the N’Garai and demonic transformation from exposure to “pure vibranium”. 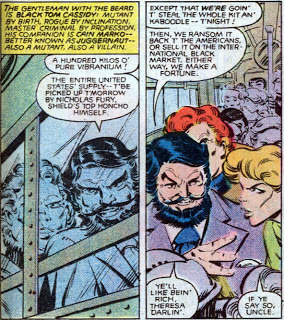 In this same issue Pangaea’s rides and attractions began attacking Ka-Zar and crew (which they blamed on Belasco). But what if their exposure to vibranium was likewise causing this? What do inanimate objects attacking and devouring people remind you of? The answer of course is Inferno, when the whole of New York City became demonically possessed! Pangaea’s amusement park interestingly does resemble Dante’s Inferno, even to the extent of its entranceway having the inscription… Abandon hope, all ye who enter here. So does this suggest the rides and attractions the park possessed by “demon spirits” too, and this was also caused by the vibranium exposure? 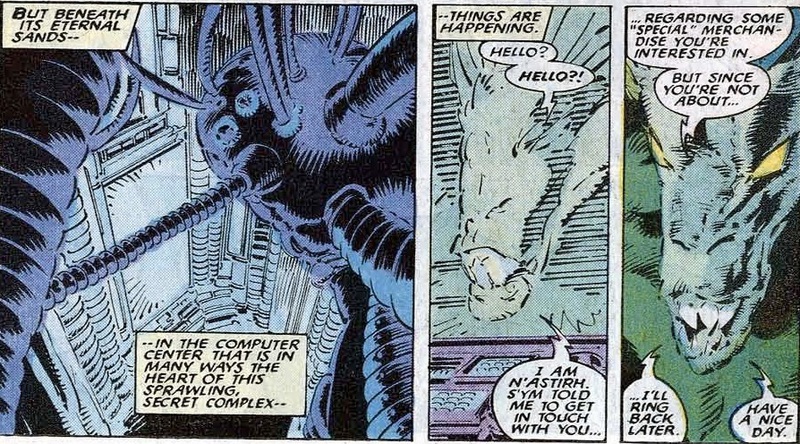 And if this is the case, does this finally explain why the Reavers’ computer system appeared to be growing on its own, with its former operator, Bonebreaker, comparing it to a living organism? You’d have to agree this is a much better fix than my above suggestion of Mojoworld technology since it links it directly to the overall matter for discussion, that is, Vibranium being another source of mutation in the Marvel Universe. 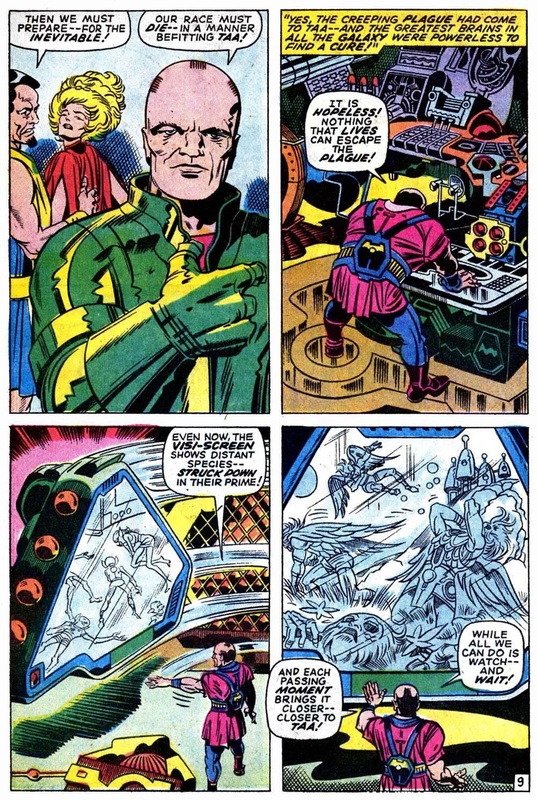 And given the Atlanteans had extremely advanced technology in the lead-up to the Great Cataclysm, was the “orichalcum” they used as an energy source, including to power their vailixi, actually “vibranium” which they mined causing members of their race to mutate into “demon spirits” who were then banished by King of Atlantis, Kamuu. I’d further posit these “demon spirits” went on to conquer Lemuria and then storm the domed capital city of Atlantis under which the Vibranium mound perhaps was. 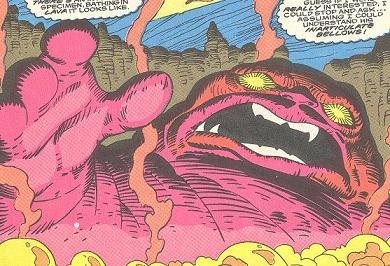 And the final cataclysm that sank both continents was a result of one of these “demon spirits” entering the mound, analogous to when Jakarra, T’Challa’s half-brother, was compelled to journey to the Sacred Mound after his transformation into a “demon spirit” which would unwittingly generate a cataclysmic shockwave so powerful it could destroy the earth. Interesting to note here is that Plato’s Critias refers to orichalcum sparkling “like fire” and flashing with “red light”, which immediately brings to mind the sound constructs used by the Black Panther’s oldest foe, Klaw. So there’s one more box ticked! And of further note is how the young homo mermani also named Kamuu, who’d taken up the Sword of Kamuu after finding it in the sunken ruins of Atlantis, was visited by the spirits of his air-breathing predecessors King Kamuu and Queen Zartra. So had they crossed over to the spirit plane like Gateway’s ancestors, and the Lemurian “demon spirits” compelled to return to the sacred mound under Atlantis to bring about the cataclysm in an effort to access the Dreamtime/ Alchera/ Alshra and conquer and enslave the spirit world? 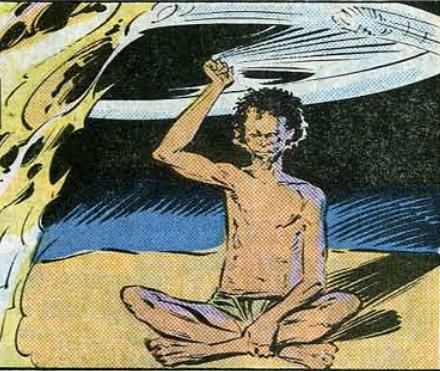 While on the subject of Atlantis, and post-Cataclysm King Kamuu, I need to bring up the tribe of the Unforgiven Dead, and their priest-king, Suma-Ket, first seen in Namor the Sub-Mariner #36. Suma-Ket and his tribe came from the North as the saviour of the undersea city of Atlantis. Ket claimed his people to be wise men who could rid Atlantis of the plague of Faceless Ones; in return, they wished merely to settle among them. 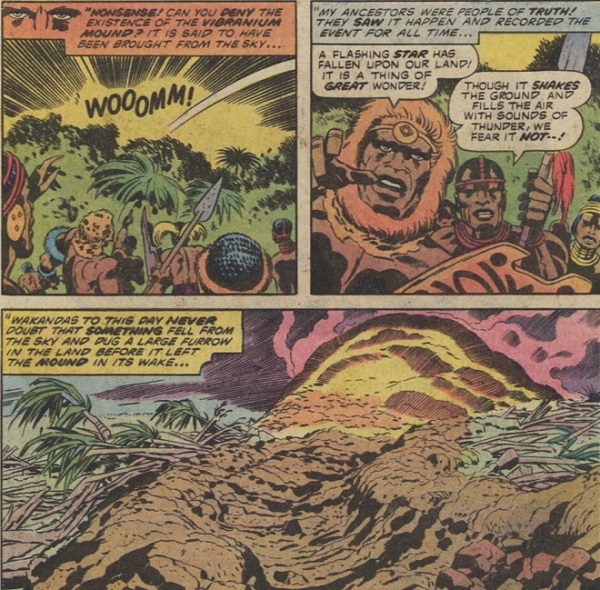 Suma-Ket freed the Atlanteans from the terror of the Faceless Ones, banishing the monstrous creatures from the city. In awe of his mighty battle-prowess and great mystical power, the Atlanteans followed Ket, slaying their king Harran, the son of Kamuu, and proclaimed Ket as King of all Atlantis. …which seems similar to how Kulan Gath was driven out of Stygia for practicing sorcery forbidden even by the worshippers of Set. 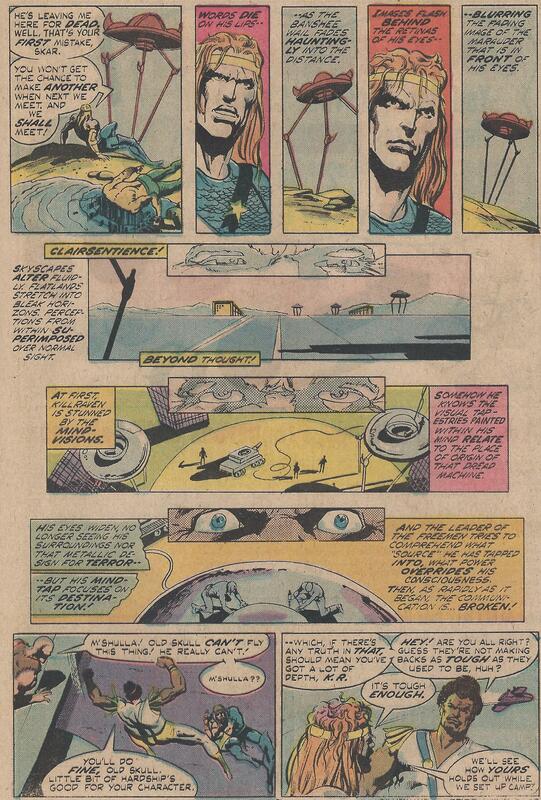 … which would seem to suggest, under this theory, that they had been homo mermani transformed by radiation from the vibranium mound north of Atlantis into undersea “demon spirits”; similar to perhaps how the Mindless Ones were transformed. But I’m not stopping there in my Grand Unified Theory. This whole plot raises in my mind a number of other mysteries introduced by Chris Claremont that could be resolved in one fell swoop, this time surrounding Xavier’s Estate in Westchester County. 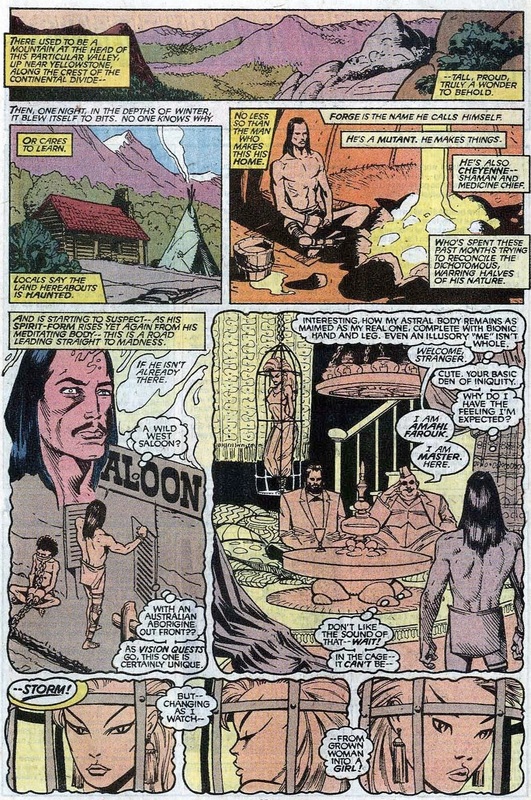 Was the stone cairn carved with mystical symbols on Xavier’s Estate installed there, of all places, due to it once being the site of a Vibranium mound? That is, if the N’Garai were inhabitants of Earth evolved into demons by the mineral’s energies they would be more likely to be hanging around sites with deposits of the unstable mineral! The other mystery is the network of tunnels leading from Manhattan to directly beneath the hangar complex below the mansion on Xavier’s estate! 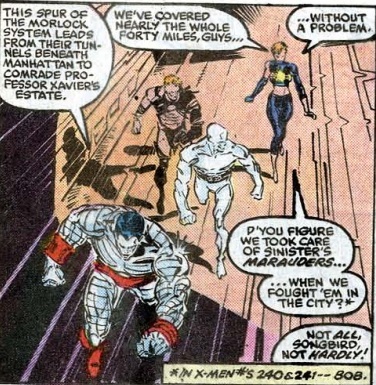 Colossus tells his teammates that the Morlock tunnel network leads from Manhattan to those directly beneath the hangar complex below Professor Xavier’s estate (Uncanny X-Men #243, p. 19). Coincidence!? 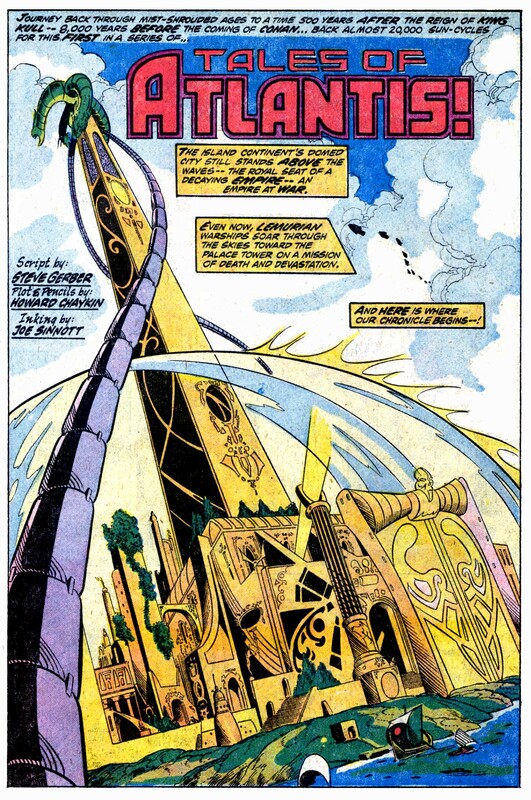 Might the N’Garai demon that made its way into the mansion in Uncanny X-Men #143 have been compelled to do so because of one such mound lying beneath the massive underground complex, similar to the one below the Reavers’ base, which was constructed to mine vibranium which was then transported by train some forty miles to Manhattan for shipping to perhaps the San Francisco Mint which held the entire stock of the United States’ vibranium as revealed in Spider-Woman #37? 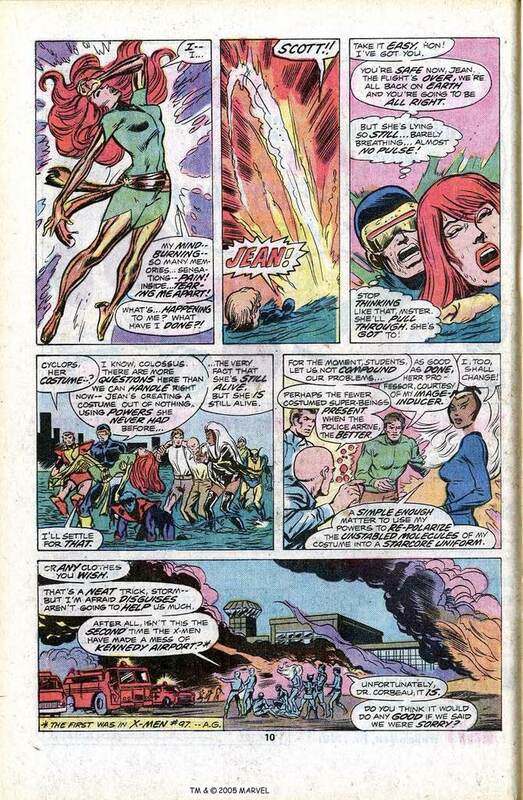 It’s interesting to note that Claremont introduced Siryn in this same issue as accomplice to her uncle Black Tom Cassidy and Juggernaut in their plan to rob the Mint of the United States’ stock of vibranium. Could it be that Black Tom wasn’t just after the metal for profit? Then why! 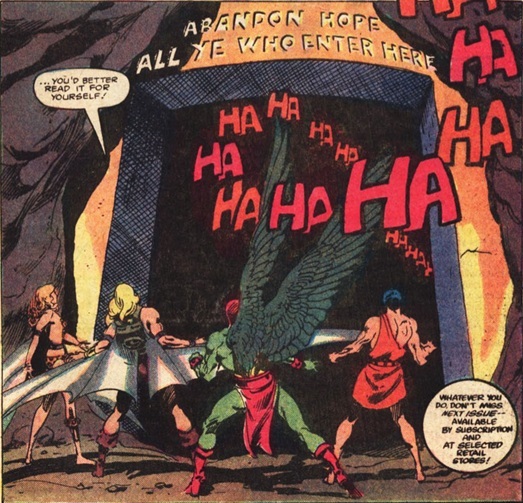 I believe the answer lies in Siryn’s sonic powers. 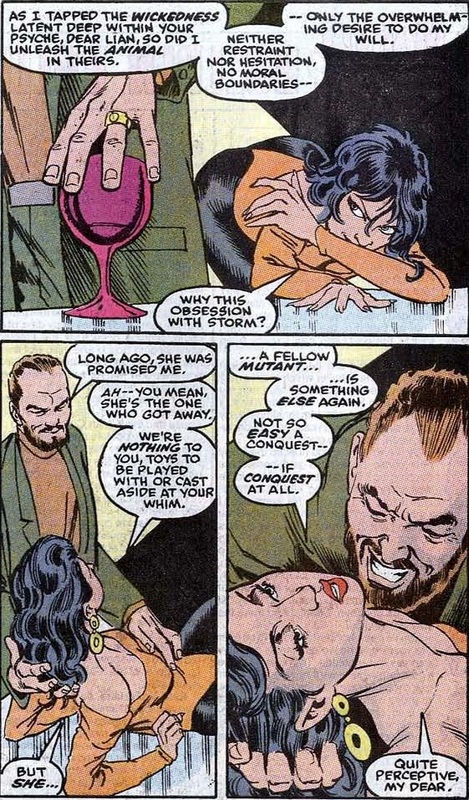 Now recall when Claremont originally introduced Black Tom his actions were primarily driven by his hate and jealousy for his cousin, Sean (Banshee). So did Tom come to the belief that Sean’s mutant abilities were to blame for his own failures, Sean subtly using his sonic powers to manipulate the roll of the dice in the game that won him both Cassidy Keep and the family fortune in addition to winning the heart of Maeve Rourke? Then when Sean is away on Interpol business, Tom discovers some a small deposit of vibranium in Cassidy Keep (perhaps left behind by the leprechauns) and an analysis shows its sonic properties which lead him to believe it is responsible for Sean’s mutation. He perhaps then tried exposing himself to the sample but it wasn’t enough to impact on a fully grown adult. Frustrated he perhaps exposes young Theresa to it without her knowledge and is surprised to discover she begins manifesting similar abilities to her father. 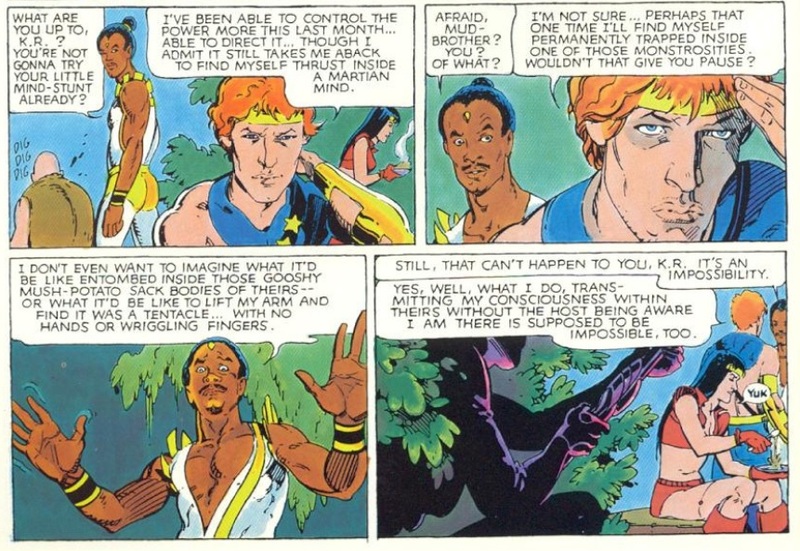 So yes, I’m suggesting Siryn is not necessarily your garden-variety mutant. 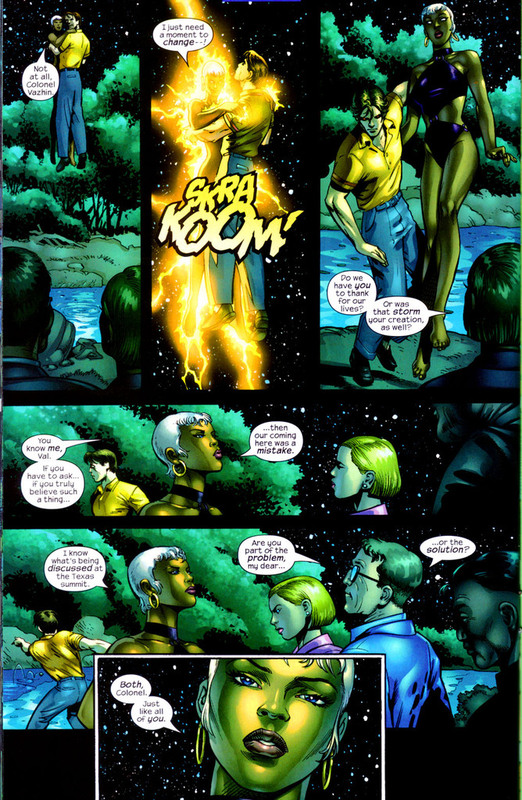 That is, it has always been a mystery about how Siryn came to develop the same abilities as her father, since up until her introduction while inheriting the gene responsible for mutant powers offspring did not inherit the same subset of abilities as their mutant parents. 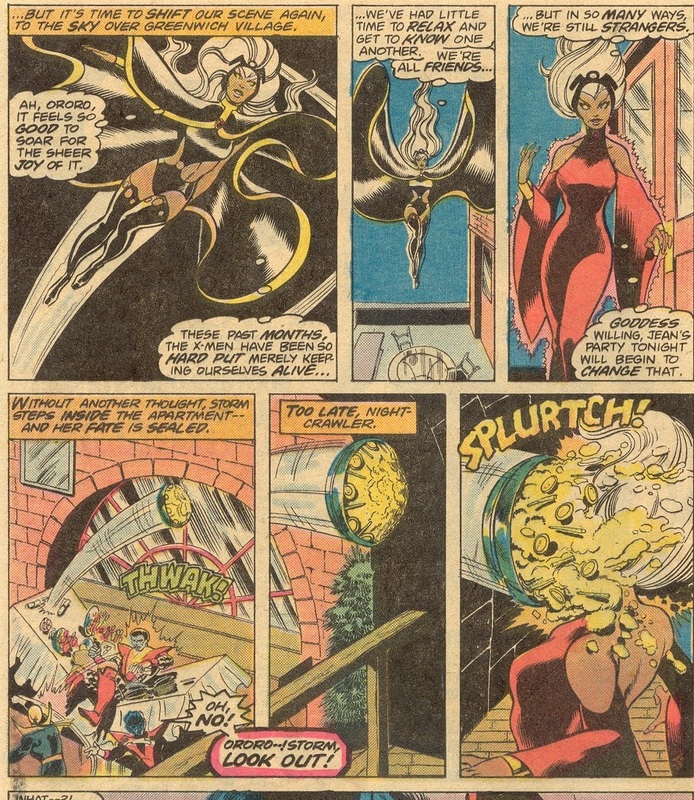 Then in the following issue, Spider-Woman #38, Siryn is shown to be able to create illusions with her sonic powers. So were her sonic powers not inherited but a result of exposure to a sample of vibranium Tom exposed her to, and her so-called “illusions” are actually inchoate sonic constructs? 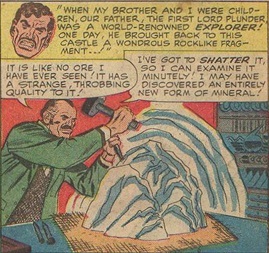 And Tom’s plan to steal the United States’ vibranium was so he could expose himself to a larger concentration of the mineral and in his mind make himself a more powerful version of Banshee, thereby reclaiming his rightful status in the family as Sean’s superior (but would obviously as we know turn himself into a rampaging “demon spirit”)! Returning to the stone cairns for a moment… there is another famous stone with mystical carvings that crops up during Claremont’s run… the tombstone that seals the portal Forge forced the Adversary through. …an action that apparently allowed the Adversary to come to Earth. 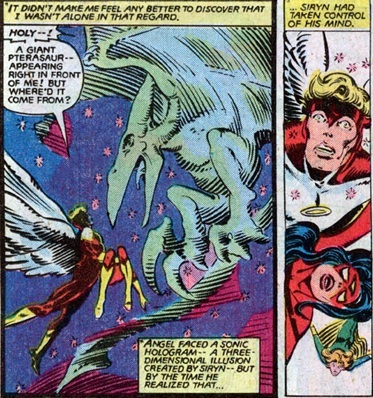 It’s also worth noting that back in his first appearance the Adversary is actually called “The Great Spirit” so might this resolve the connection and suggest Claremont intend to later reveal him as leader of all the “demon spirits”? 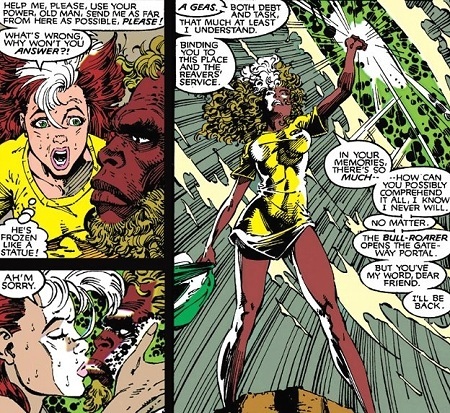 But back to Siryn… if her sonic powers were not inherited from her father, but rather a result of exposure to vibranium, we need to look to what other Marvel’s heroes this may have likewise been the case for. And I’m not suggesting only looking for those characters with abilities similar to Klaw, the Sultan of Sound! 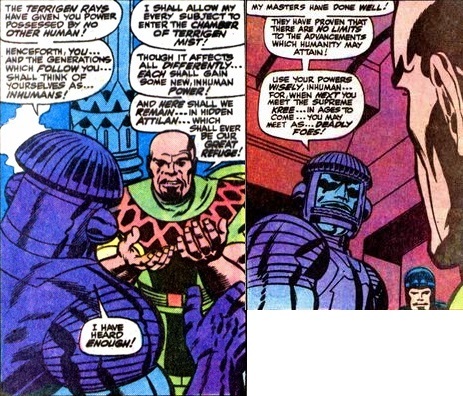 I’d firstly nominate another Marvel character with vibratory powers was the global terrorist, Moses Magnum. Obsessed with weapons, he became the head of a major global weapons manufacturer. 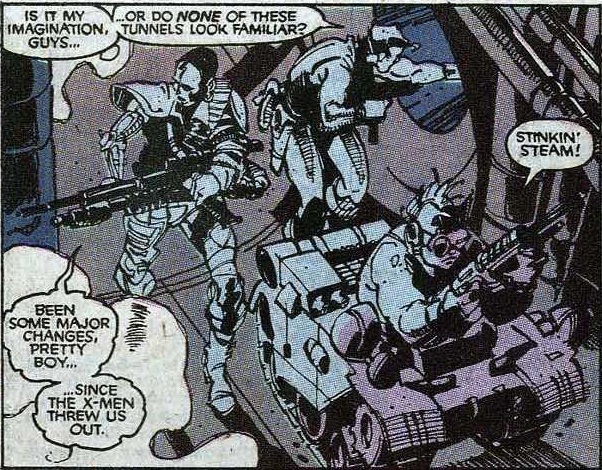 Initially dealing with chemical weapons, after a blistering defeat at the hands of Spider-Man and the Punisher, he turned his attention to mining operations. 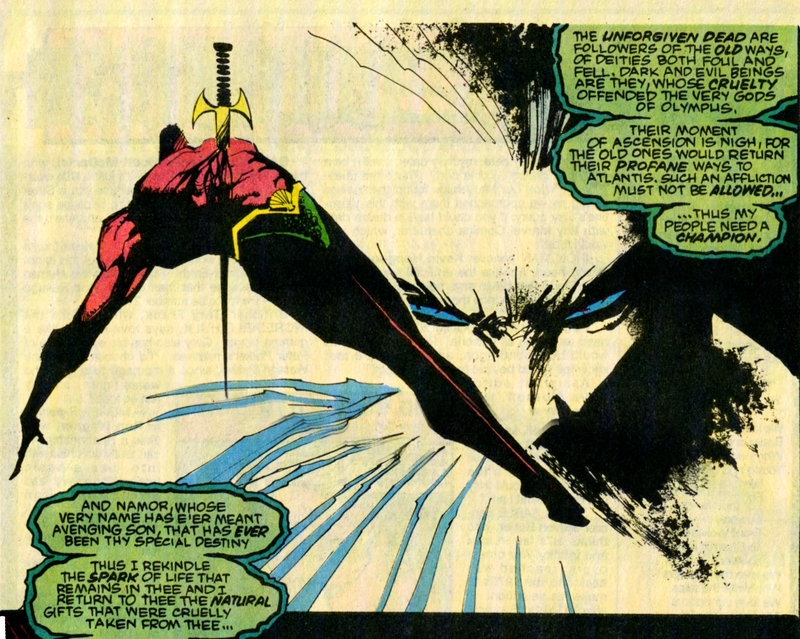 After a confrontation with the hero known as Power Man, Magnum fell down a shaft which his laser drill had bored to the centre of the Earth. To Magnum’s surprise, he was saved from the fall by Apocalypse (cf. Classic X-Men #25) who transformed him so that he was able to generate concussive force and seismic powers. 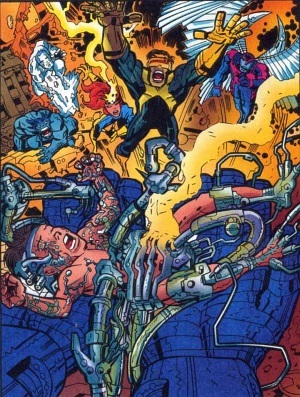 The first use of Moses Magnum’s new abilities and technology came during his assault on the isles of Japan, where he was confronted and defeated by the X-Men (cf. Uncanny X-Men #118-119). I’d suggest Magnum had manifested these particular powers as a result of Apocalypse exposing him to a sample of vibranium. 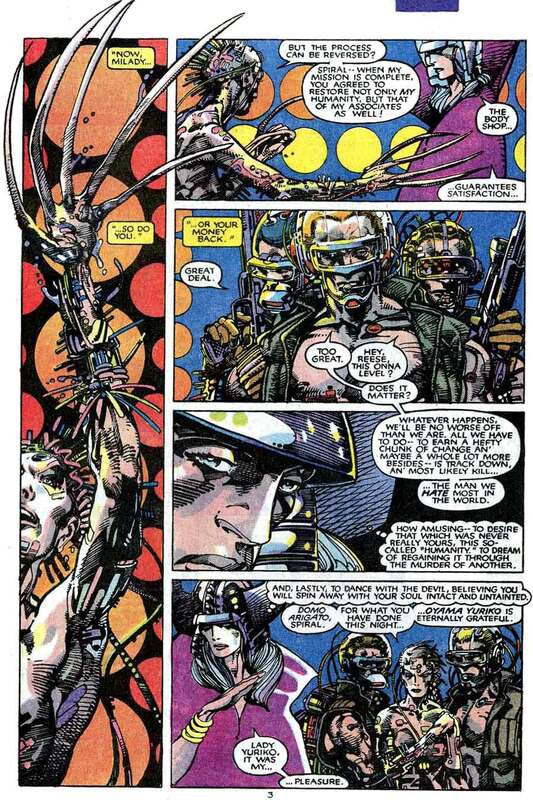 Next I’d nominate another character Apocalypse had his hand in transforming; Cable, one of the most powerful telepaths/ telekinetics on the planet. 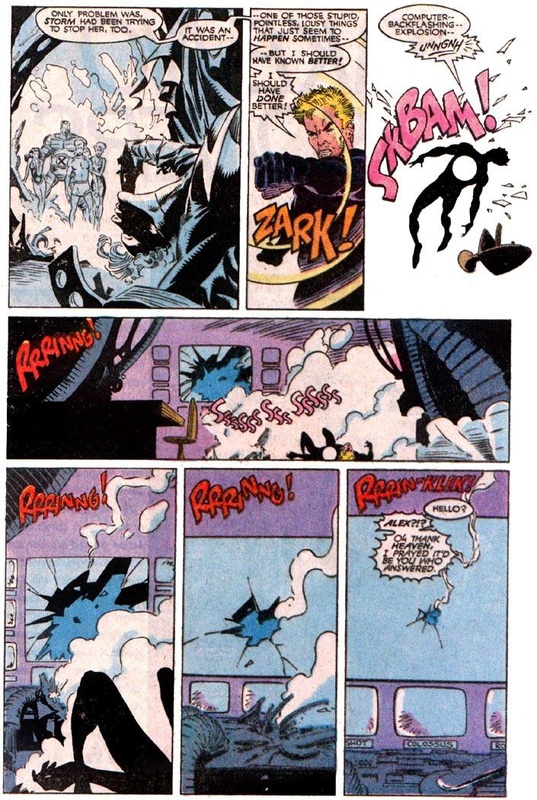 Now recall when he was baby in X-Factor, Nathan was shown with a force-field power (think Unus the Untouchable), which really could be separate and have had nothing to do with his psionic abilities. …a virus which derived from Anti-Metal he mined from his base in the Savage Land. … are akin to those developed by T’Challa in Black Panther #10 after he is exposed to “pure vibranium”. So when earlier was young Jonathan exposed to vibranium? To determine that answer I’m proposing that he was raised in the Savage Land and that his parents were in fact Lord Kevin Plunder and Shanna O’Hara! 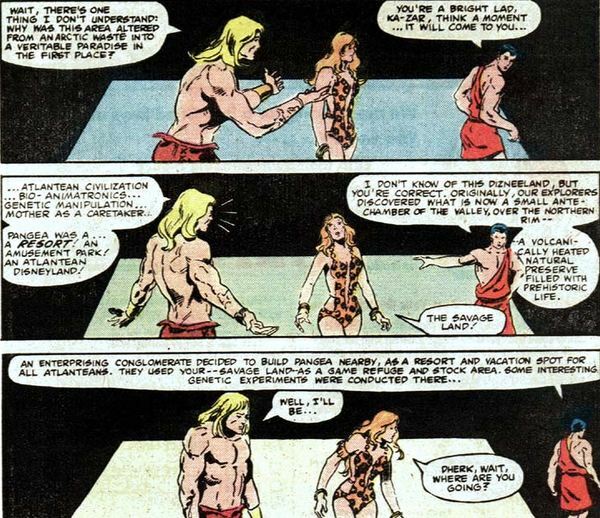 But the son of Ka-Zar and Shanna the She-Devil was named Matthew and Jonathan Raven’s mother was named Maureen? 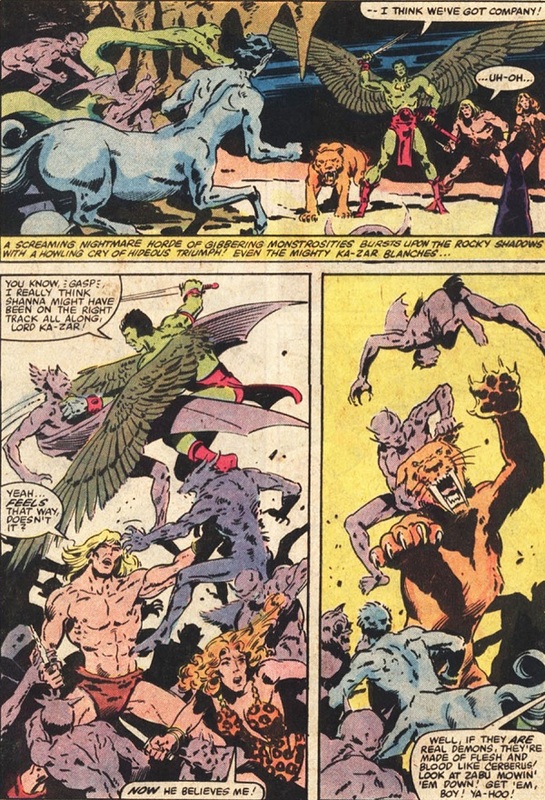 …Ka-Zar and Shanna separated, Ka-Zar remaining behind in the Savage Land to defend it from invasion, Shanna fleeing with young Matthew to New York City where she changed their names, adopting Maureen, after Maureen O’Hara her famous namesake, and the surname Raven since it is Middle English for Plunder! Then consider the Panther’s vibranium in the light of Frank Herbert’s Dune, and the spice, it seems like telepathy, but then it also seems like clairvoyance, as perhaps ungovernable telepathy would. But maybe it’s neither of those. Maybe it’s a space-time effect! 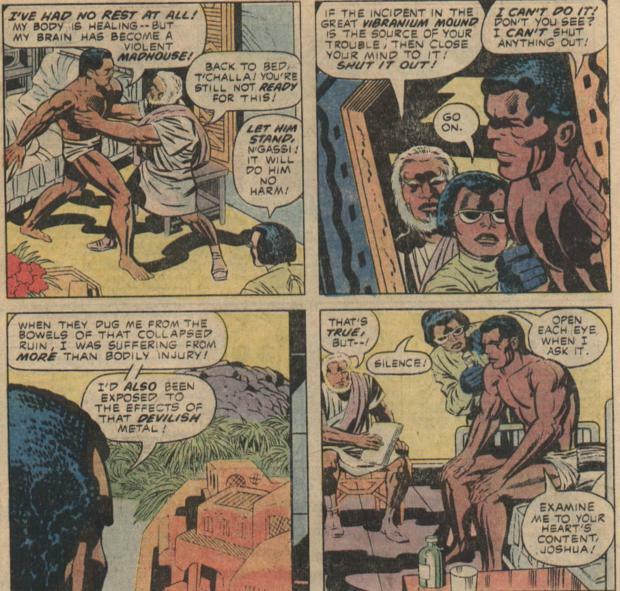 I would posit here that T’Challa’s exposure to the pure vibranium makes him not able to necessarily “read” minds, but rather make contact, i.e. he’s touching them, he’s there… it’s a distance effect. 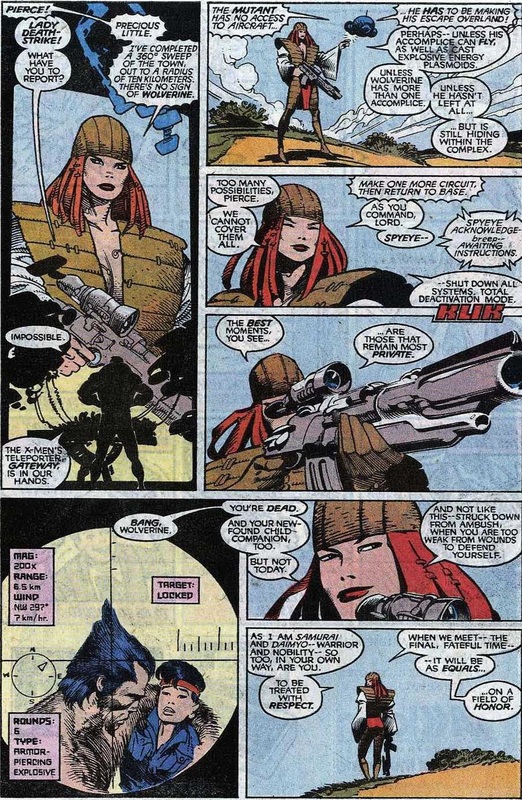 In this whole Vibranium plot Chris Claremont makes even more explicit reference to Dune in Uncanny X-Men #251, where he has one the Reavers specifically refer to Psylocke as a “mentat”. 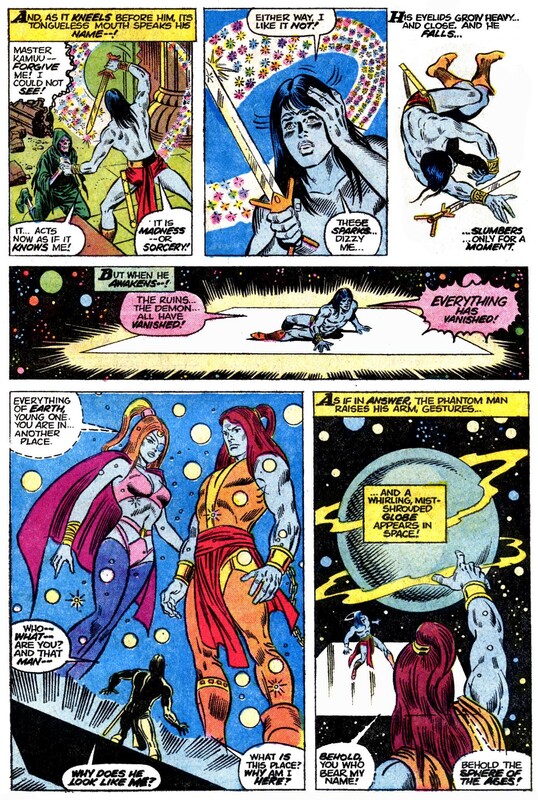 I’d therefore extend Killraven’s psionic abilities to being an extension of T’Challa’s likewise caused from exposure to Vibranium while raised by his parents Ka-Zar and Shanna in the Savage Land, and reintroduce him as Marvel’s version of Muad’Dib! I’d further posit M’Shulla Scott was perhaps a sleeper agent from Wakanda sent to join the Freeman (?Marvel Fremen?) to secretly mentor him in the use of these abilities! And that the Martians were really on Earth to mine Vibranium so they could then use it to “fold space” in order to return to their original homeworld! Then there’s, of course, Matt Murdock. That is, was the radioactive substance inside the drum that fell from the truck and spilled directly onto his eyes some form of vibranium? 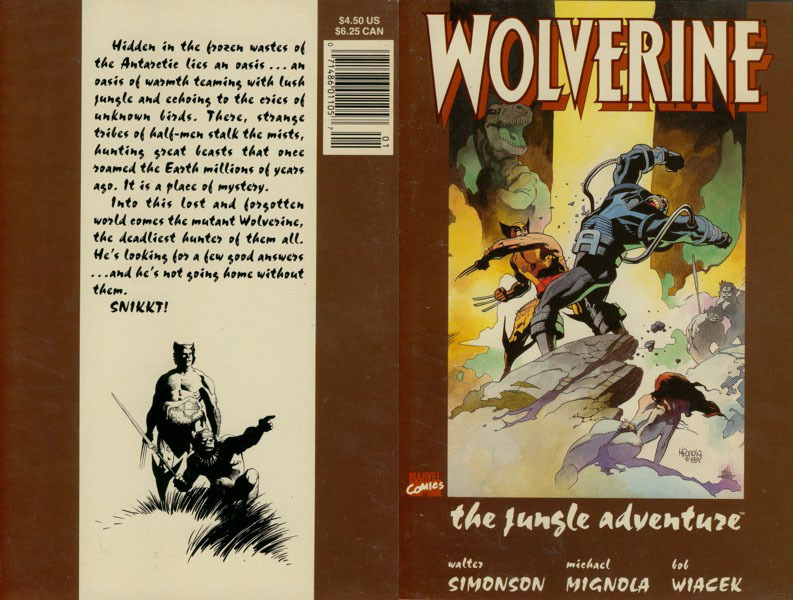 It is rather interesting that the Savage Land variant (i.e. 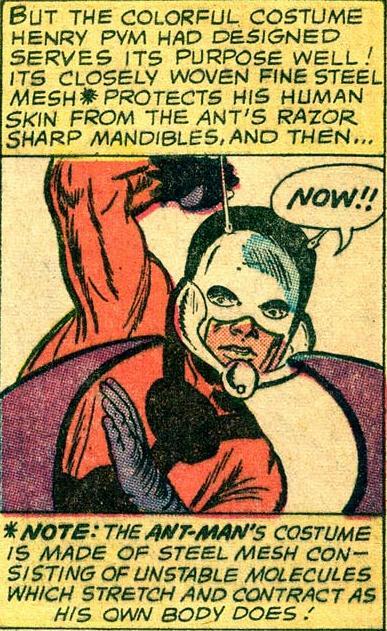 Anti-Metal) is first introduced in of all series Daredevil, and the only issue illustrated by Jack Kirby to boot. And isn’t it further interesting that the substance from the accident not only gave Matt heightened senses but a sonar that allowed him to “see” through sonic vibrations!? And his costumed identity in effect makes him a “demon spirit” protecting those in Hell’s Kitchen! As T’Challa states above “DEVILISH metal” indeed! 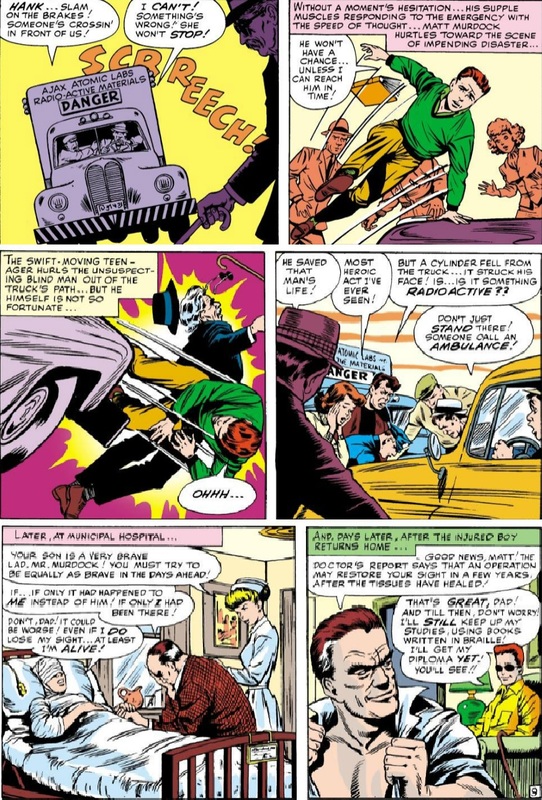 …recall that the Fantastic Four did not obtain their costumes that adapted to their powers until after three of the four Skrulls they fought in Fantastic Four #2 were captured (while one of the four Skrulls in this issue escaped you’ll recall Ben Grimm did not require a costume that adapted to his Thing state since it didn’t change). 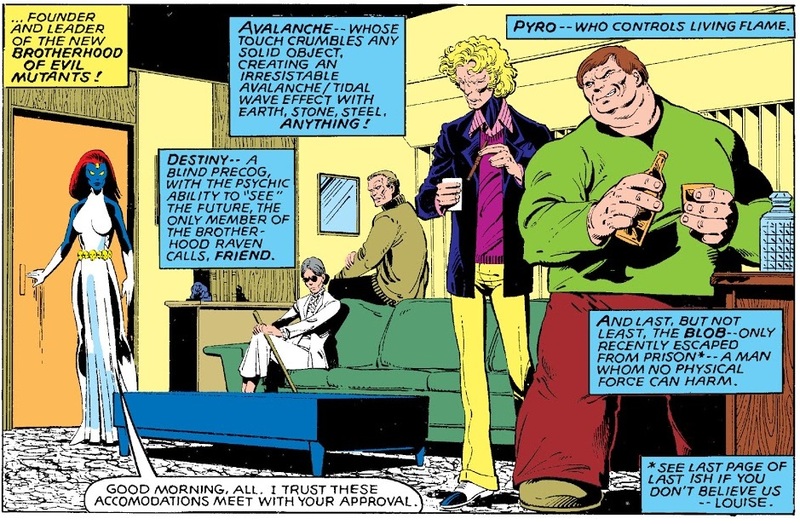 …suggesting they are made of unstable molecules, and it is not until issue #3 that Sue appears with three unstable molecule costumes. 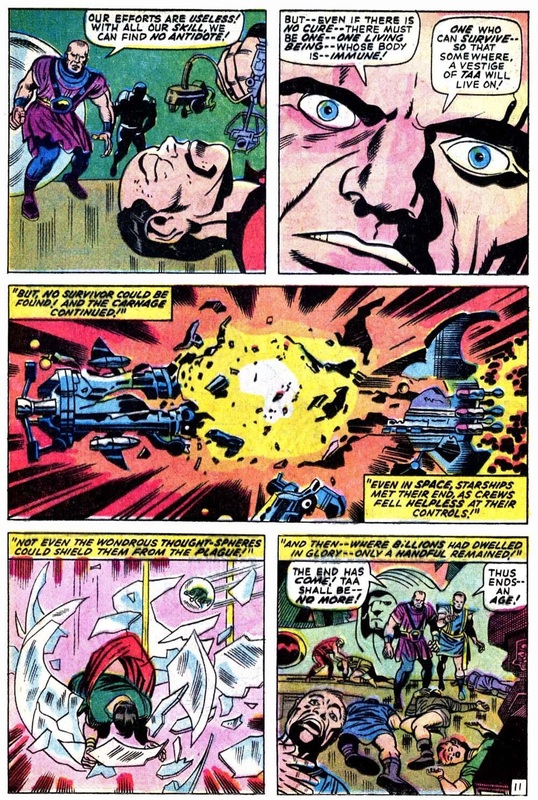 While on the subject of the Skrulls, it is interesting that their shape-changing cousins, the Dire Wraiths, are red-scaled monstrosities like T’Challa’s cousin. Then if you recall that the Martians in H.G. 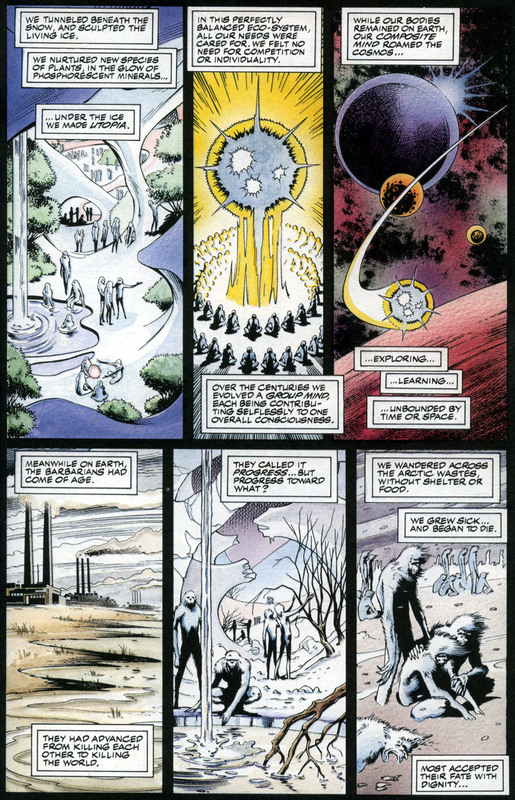 Wells’s War of the Worlds are revealed as not native to Mars, might this suggest these invaders in Killraven are in fact Dire Wraiths and the real reason behind their invasion is to obtain vibranium to kickstart their shape-changing abilities which they perhaps lost after the activation of the Hyper-Wave Bomb? …and it is this energy (i.e. unstable molecules) which is the true science behind his ability to alter his size. …fans assumed this was a veiled reference to the character being a fan of Patrick Stewart’s character in Star Trek: The Next Generation. However, what if Claremont was instead using Picard to refer to Remy’s being French as it is a surname meaning a person from a historical region and cultural area of France? 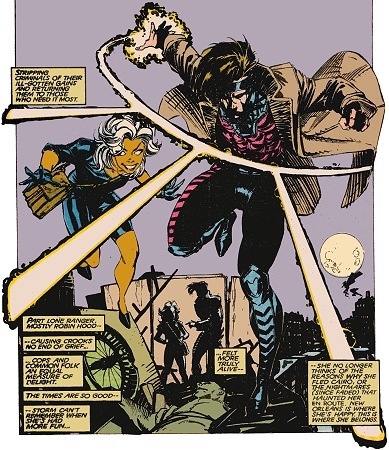 So basically Gambit is Remy from Picardy, or at least his true family as intended by Claremont. So which other characters did Claremont write that came from this region of France? Well none that I’ve been able to find, but Picardy was famous for being where founding members of the Knights Templars, Godfrey de Saint-Omer, hailed from. 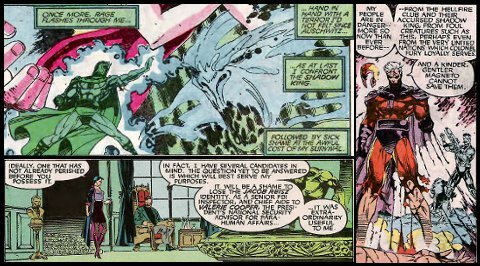 So was Claremont intending to reveal Gambit by this stage as descended from the Knights Templar? The Knights Templar were rumoured to be protecting a secret treasure, so what if this treasure was vibranium? And the Guilds are modern day Knights Templars attempting to reclaim this treasure? And what if that treasure is a bloodline? And that bloodline is Ororo’s? 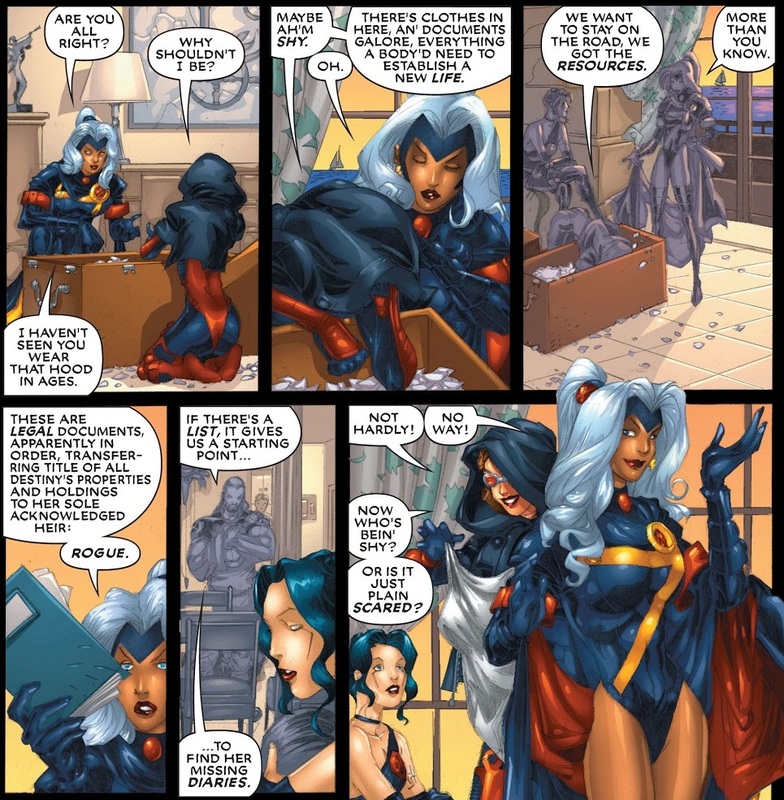 That is, throughout Storm’s history she has shown an unusual ability to manipulate and shape unstable molecules into different kinds of clothing with ease. So might this finally explain the Shadow King’s long obsession with her!? He realises this ability means she effectively has the ability to shape vibranium. 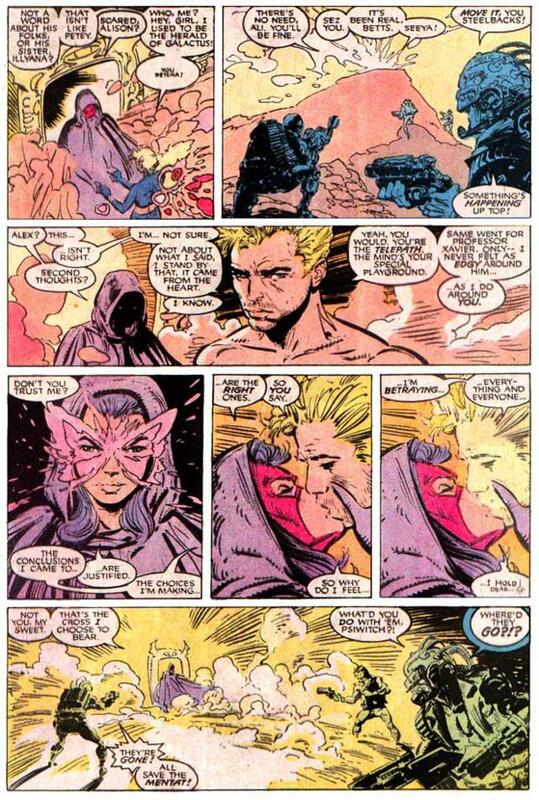 And this is the reason behind Gambit’s initial pairing up with Stormie! 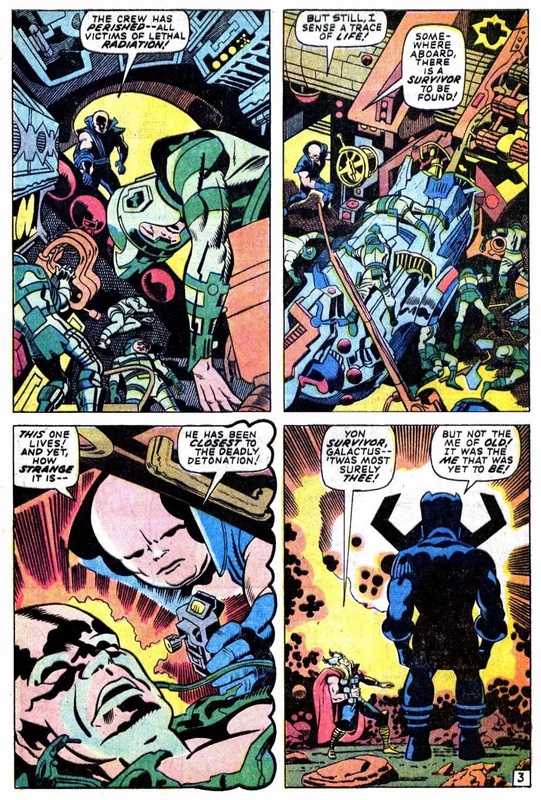 But this isn’t the end of the theory and to get closer to that point I must return to the underlying origins of the Marvel Universe itself, in particular Thor #169, where Galactus is revealed to have been the scientist/ explorer Galan who was the only individual from the planet Taa to survive a space plague as a result of absorbing its radiation causing him to be transformed into the devourer of worlds. 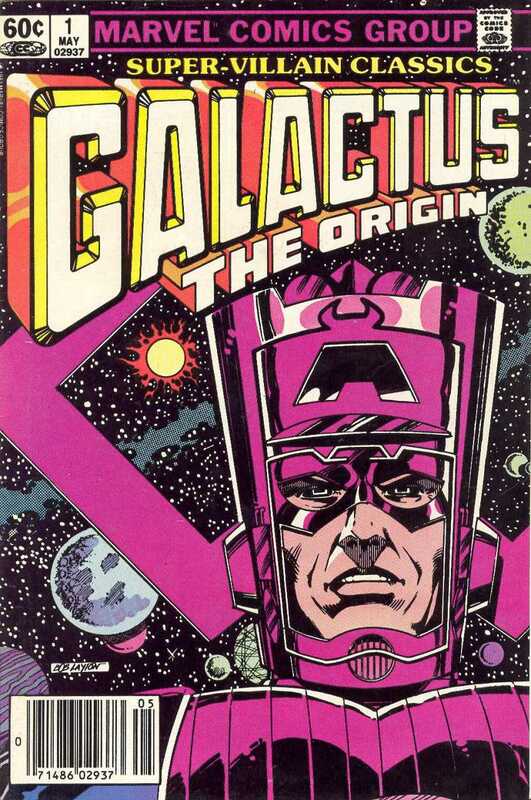 This was retconned somewhat by Mark Gruenwald & John Byrne in Super Villain Classics #1 (1983), where it was revealed that Taa actually existed in the pre-Big Bang universe, thus establishing in Marvel canon that a universe existed prior to the current one, and that Galan/ Galactus came from this universe. While I liked some of this origin (the appearing to different races differently), making him a Cosmic Principle was a little too comfortable. 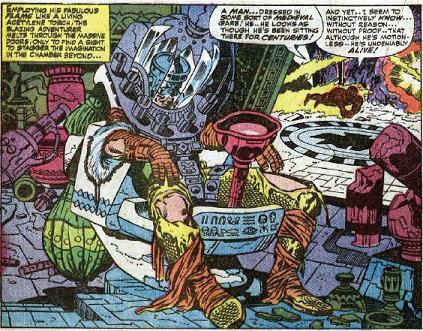 As usual, I’ll go back to Stan and Jack, which makes Galactus being from a universe in another dimension possible. So what was that dimension? Well we know Galan was a scientist and informed people of an impending cataclysm not only to Taa, but their system as well. …persuaded the remaining survivors to join him on his space vessel by flying into the source of the plague, what was designated as “the largest sun in the(ir) universe”. Galan’s crewmen were said to have all died. At this point I’d suggest that this sun was the original source of vibranium and the space plague was caused by the mineral at its core increasing entropy which began destabilising the molecules within the cells of Taa’s inhabitants leading to planet-wide death. 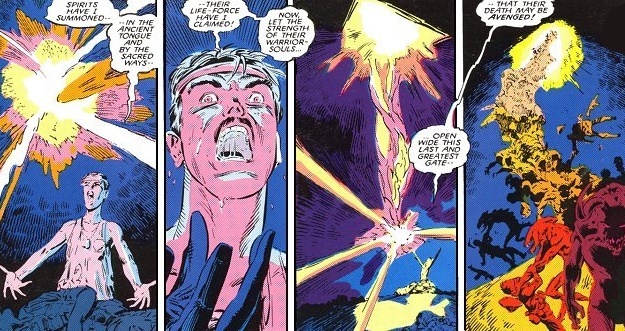 I’d further suggest that just before Galan would also die from the vibranium radiation, the sun generated a final shockwave so massive it shattered the dimension, creating warps into pocket dimensions. Because Galan was so close to the sun he took the full brunt of this shockwave and was thrown into one of these warps and was sent hurtling into our universe. 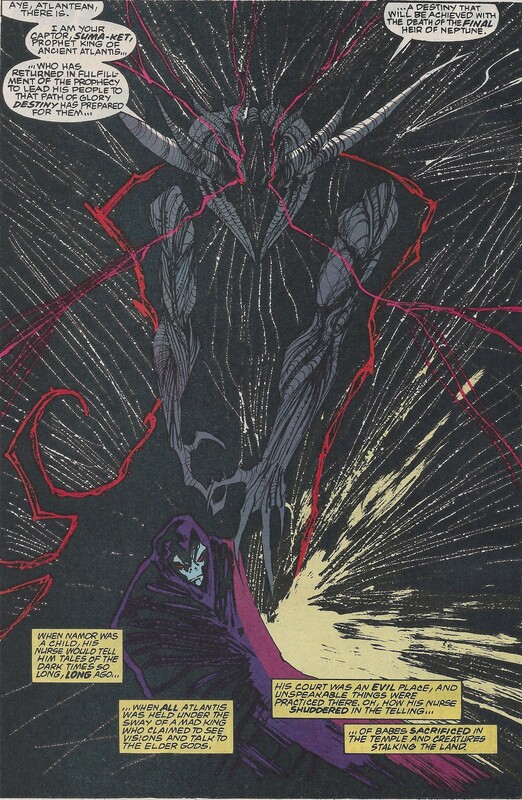 Having been in the direct path of the shockwave before being thrown into the warp, Galan absorbed so much vibranium energy he came out the other end having transformed into Galactus, whose hunger for planets is perhaps explained by his needing to feed an addiction to vibranium. 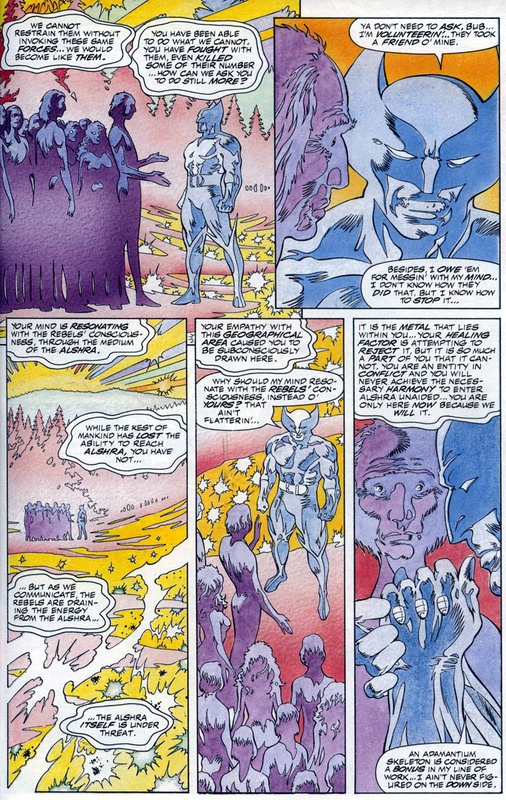 I’d further suggest that Galan’s crewmen did not die before he was thrown into the dimensional warp but survived to become the Mindless Ones whose singular drive is to breach the Dark Dimension’s great mystical barrier so they can access the warps into pocket universes in an effort to seek out stores of vibranium similar to Galactus, but on a smaller scale given they were not in the direct path of their sun’s final shockwave and so did not absorb its final burst of vibranium radiation. So yes, in my Grand Unified Theory this makes the realm that later became the Dark Dimension, the universe where Galactus originated. …and the mists were produced by them from extensive heating of some mineral on Earth; perhaps vibranium!? 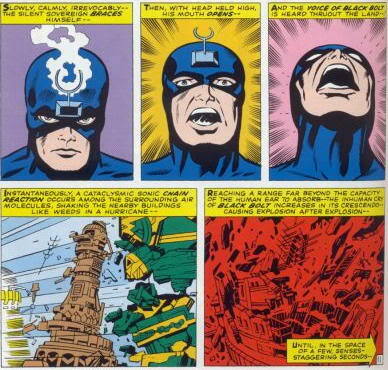 This would appear to be a tenuous link to vibranium until one considers king of the Inhumans, Black Bolt, whose exposure to the mists gave him a “sonic scream” capable of vibrating electrons to the extent that his merest whisper can level buildings. 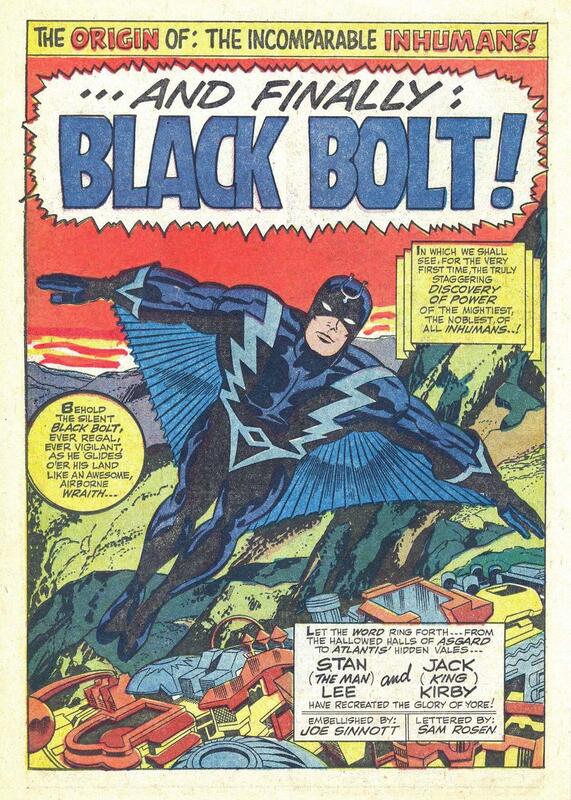 Then recall the metallic trim on Black Bolt’s costume looks like a V radiating from his body, which was perhaps a hint to the true source of his powers. …which couldn’t be anything but a blatant reference to the Antarctic variant of Vibranium, also known as Anti-Metal, and its ability to break “the molecular bondings of ALL other metals” (i.e. 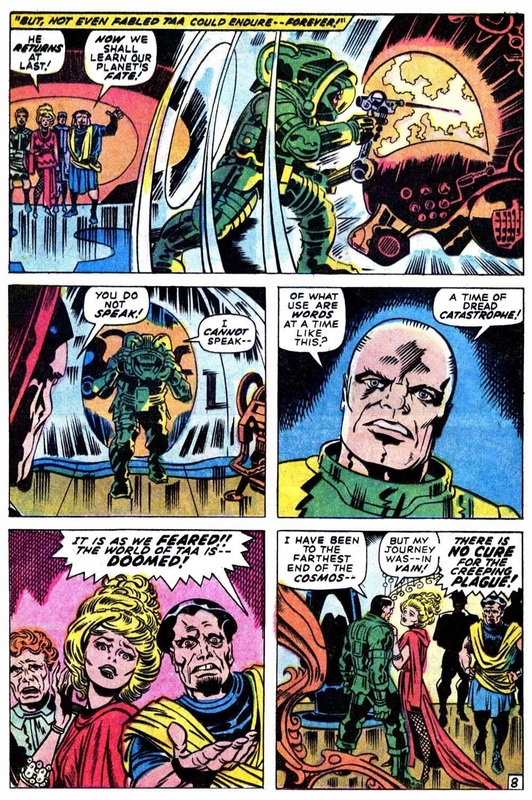 the ultimate corrosive), especially when revealed in another Kirby story of all places! 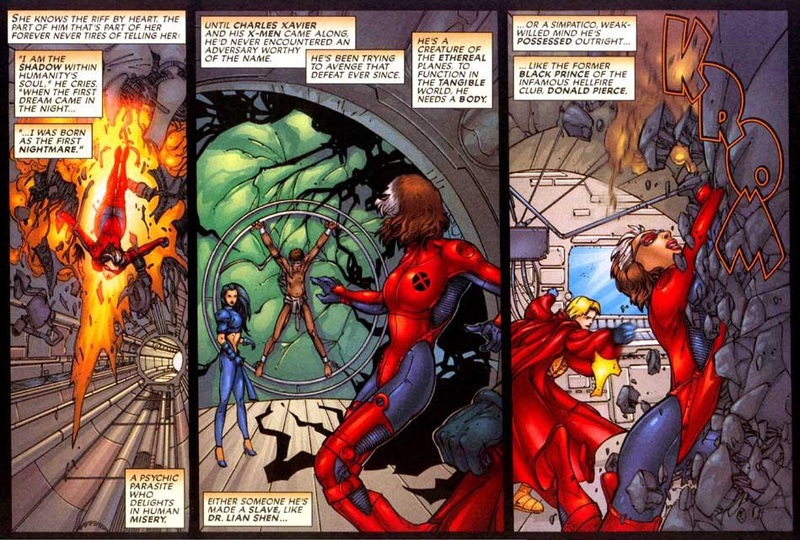 In addition, Black Bolt’s vow of silence due to the cataclysmic potential of his voice brings to mind Gateway’s own silence apparent during Claremont’s run. 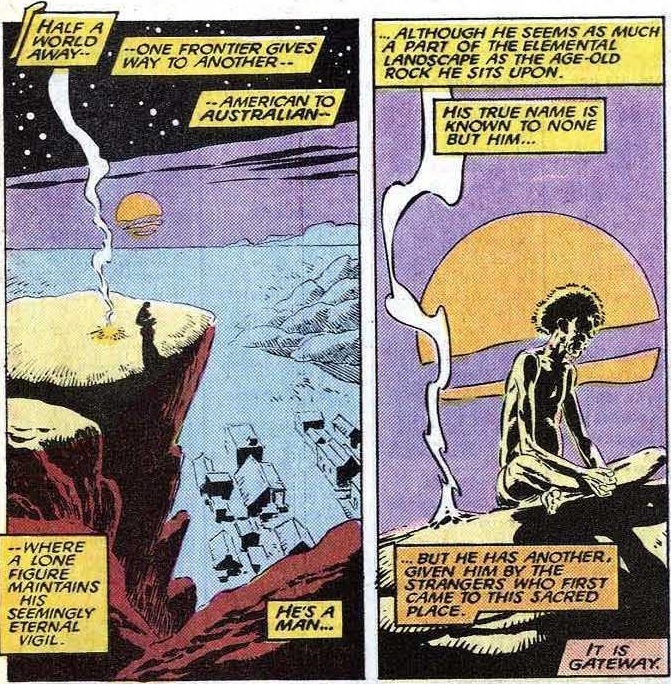 So was Claremont attempting to suggest the ancient Aborigine had likewise taken a vow of silence due to similar capabilities of his voice caused by exposure to the vibranium mound in outback Australia? 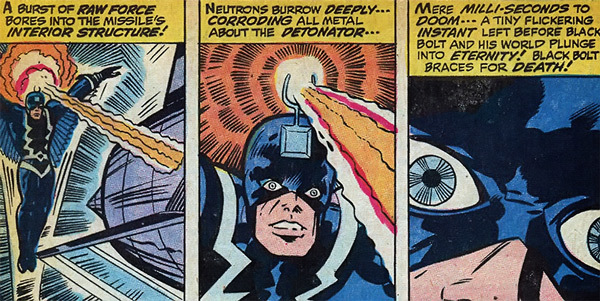 Might this further suggest Gateway’s bull-roarer acts in a similar fashion to Black Bolt’s tuning fork in that when he spins it he is disrupting electrons in their air, which in his case opened teletransportational wormholes in space? Postscript: Now that I’ve done all the heavy lifting who wants to have a go at explaining why Roma chose this abandoned mining town, occupied by a band of sadistic, cybernetic super-criminals, to insert the X-Men after restoring them to life following their sacrifice at the conclusion of The Fall of the Mutants? Was it a) so they could access advanced computer systems to detect problems and crises around the planet and the abilities of Gateway so they could respond accordingly, b) to help Gateway break the “geas” that bound him to Reavers, or c) to prevent the “outsign spirits” from spreading across the Dreamlands? …and sitting in the Siege Perilous appeared to fall into a form of suspended animation, only to be found centuries later in a deep underground cavern beneath the African desert north of Wakanda by the Human Torch and Wyatt Wingfoot. So how might the mystery behind Prester John and Avalon tie into my revelations regarding Limbo and the origin of Vibranium?